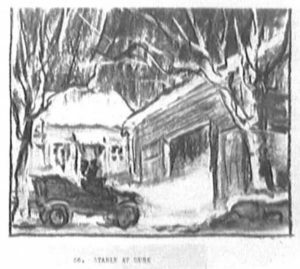 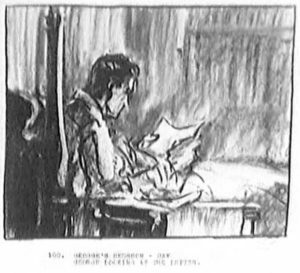 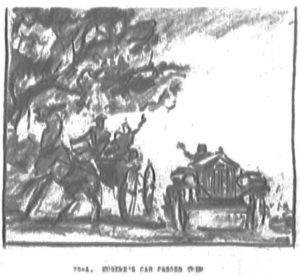 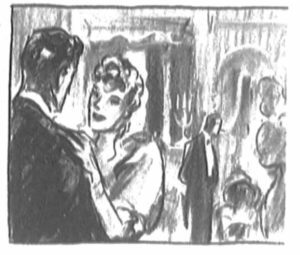 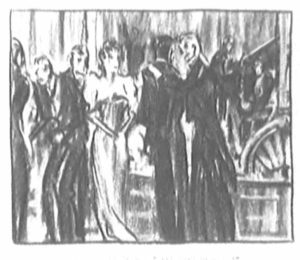 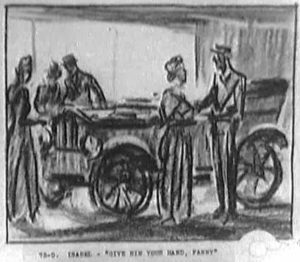 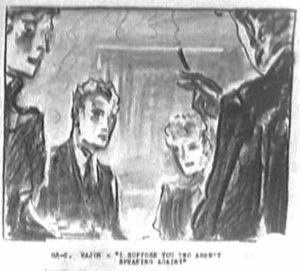 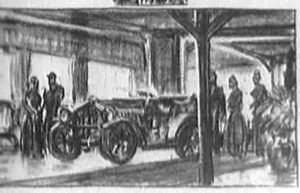 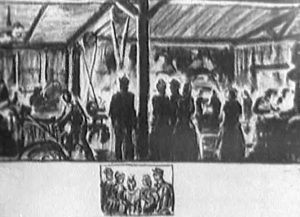 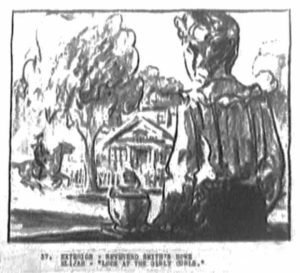 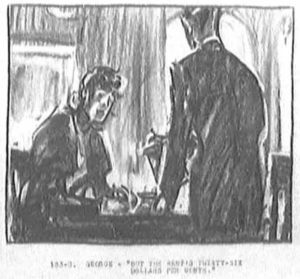 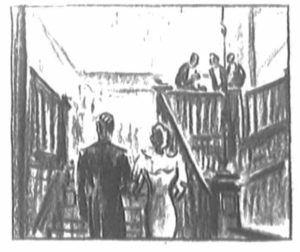 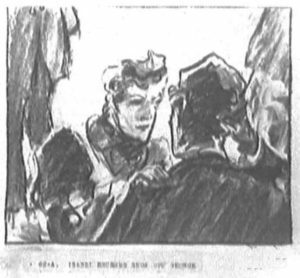 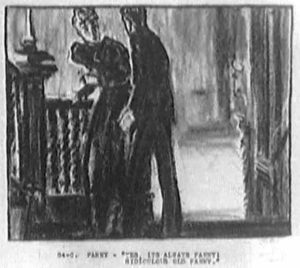 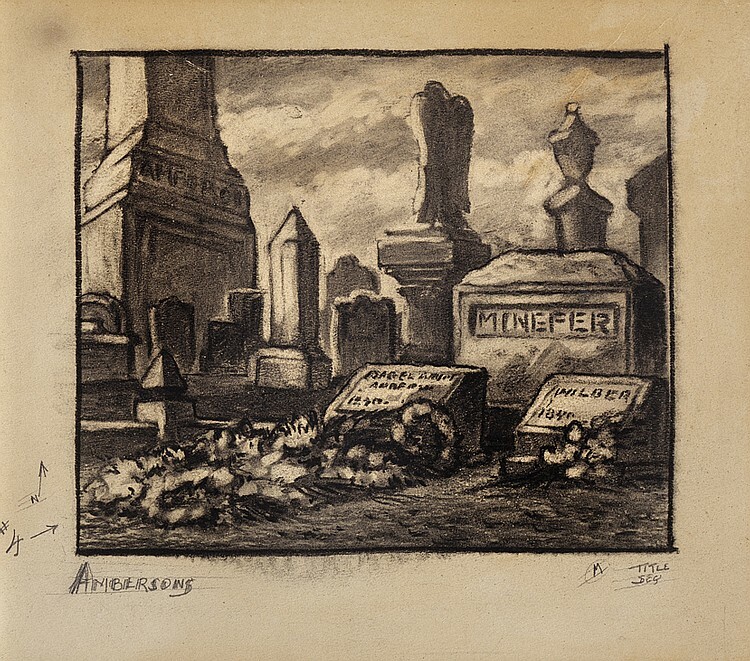 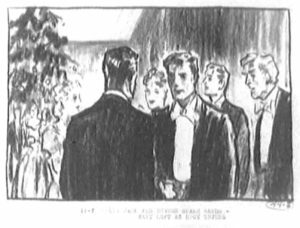 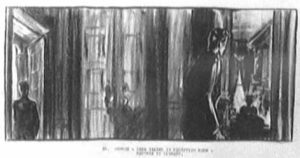 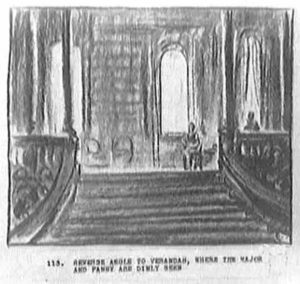 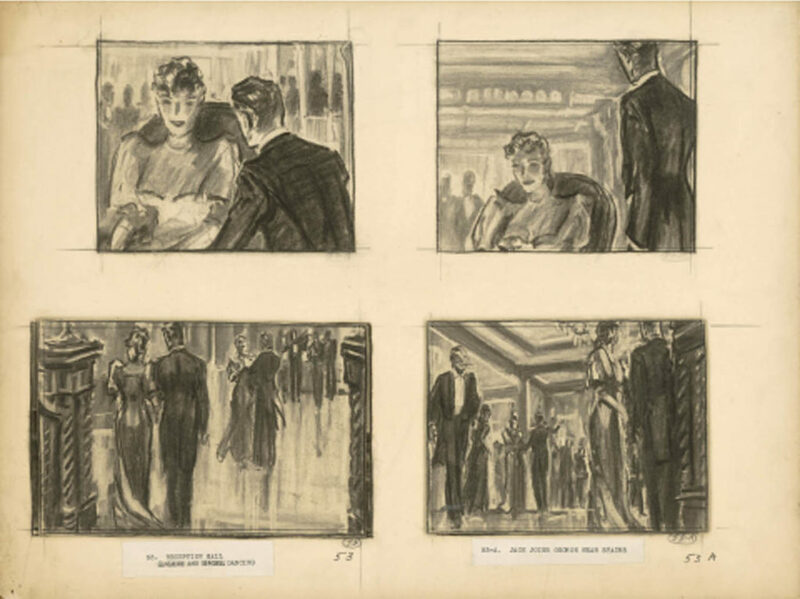 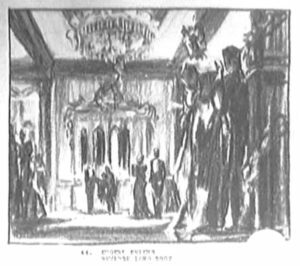 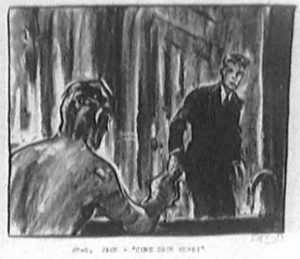 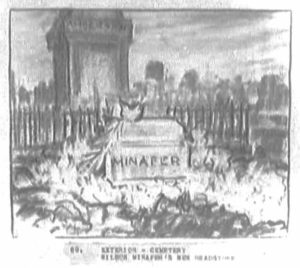 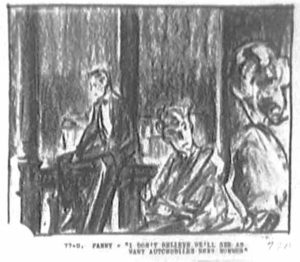 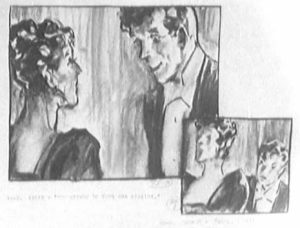 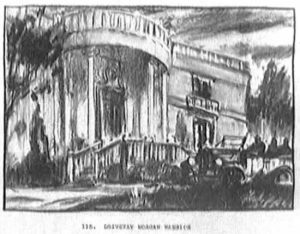 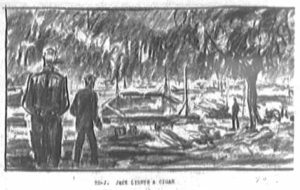 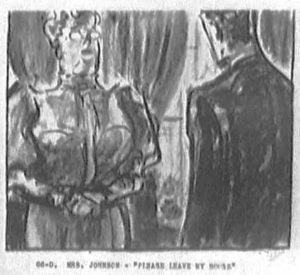 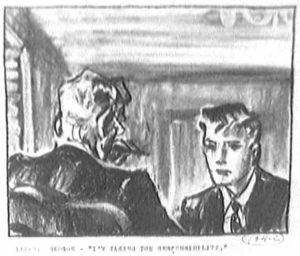 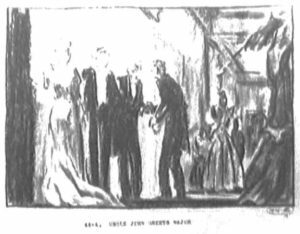 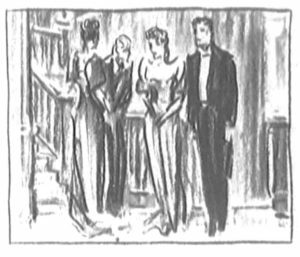 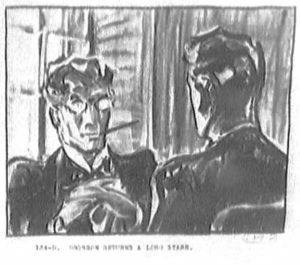 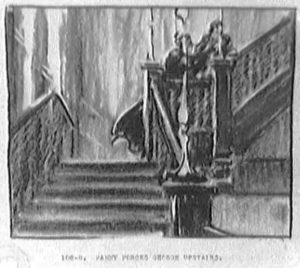 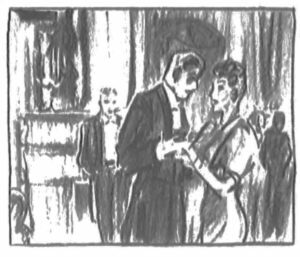 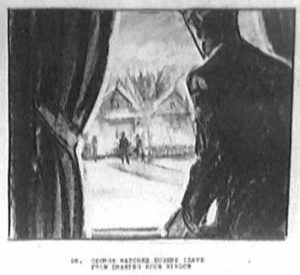 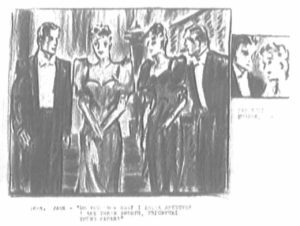 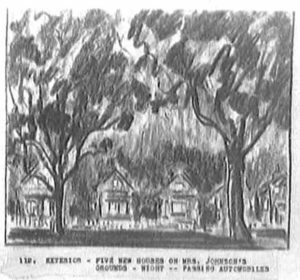 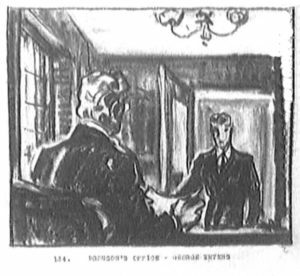 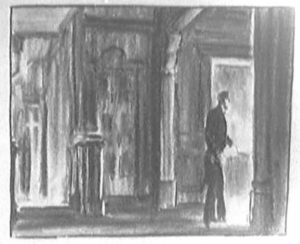 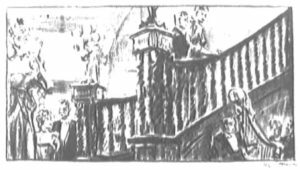 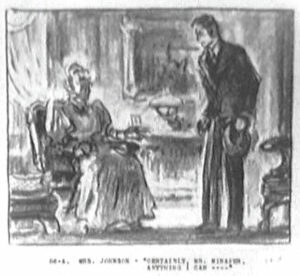 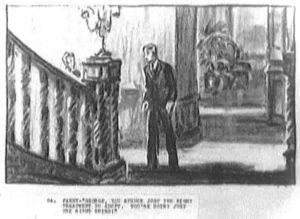 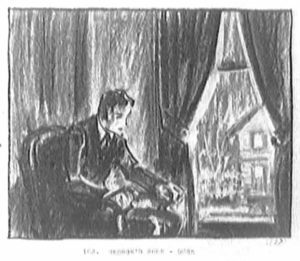 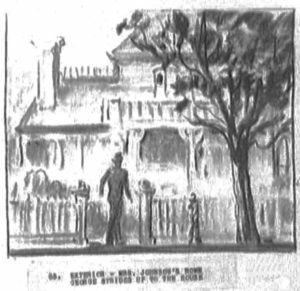 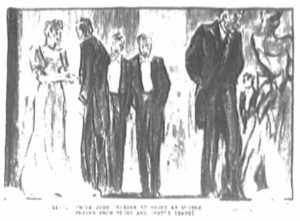 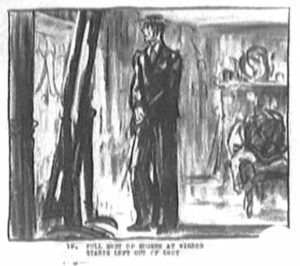 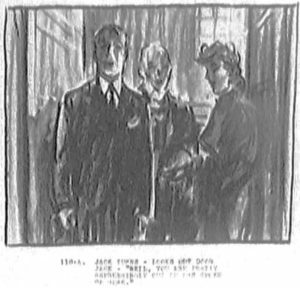 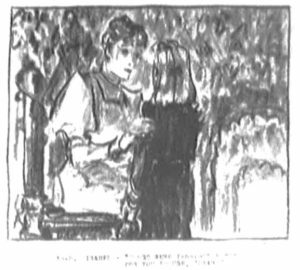 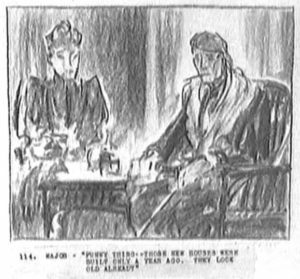 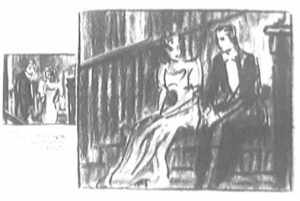 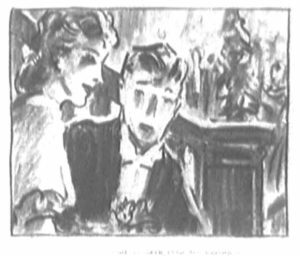 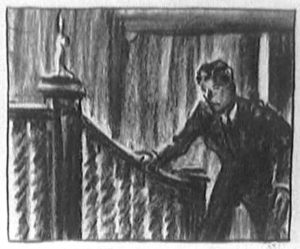 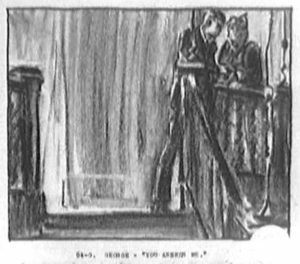 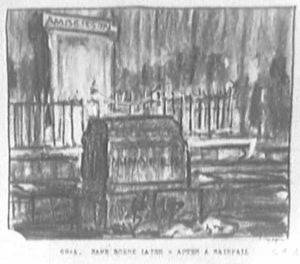 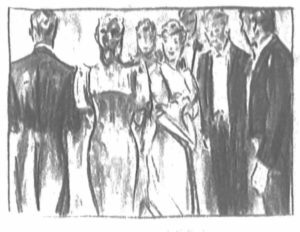 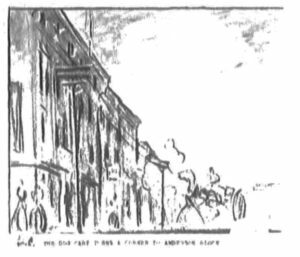 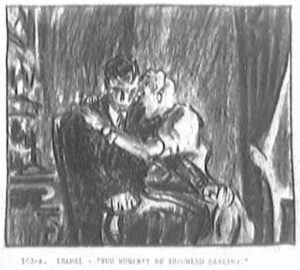 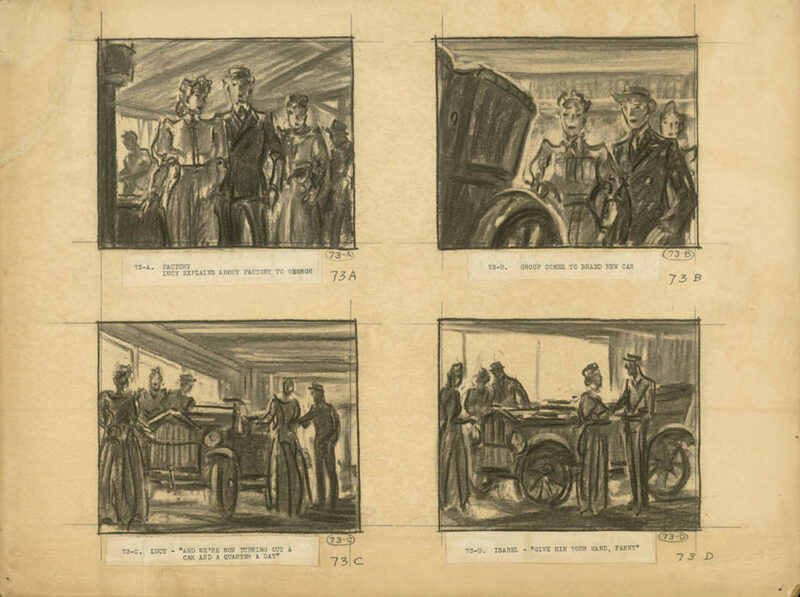 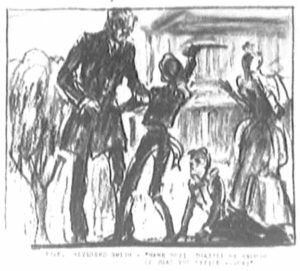 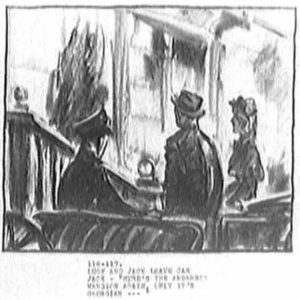 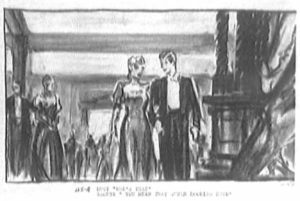 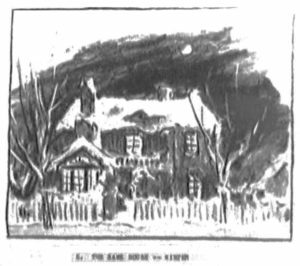 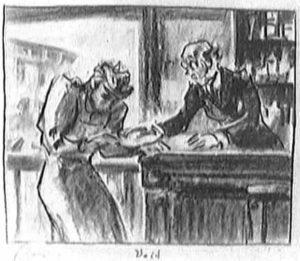 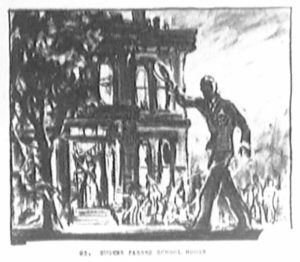 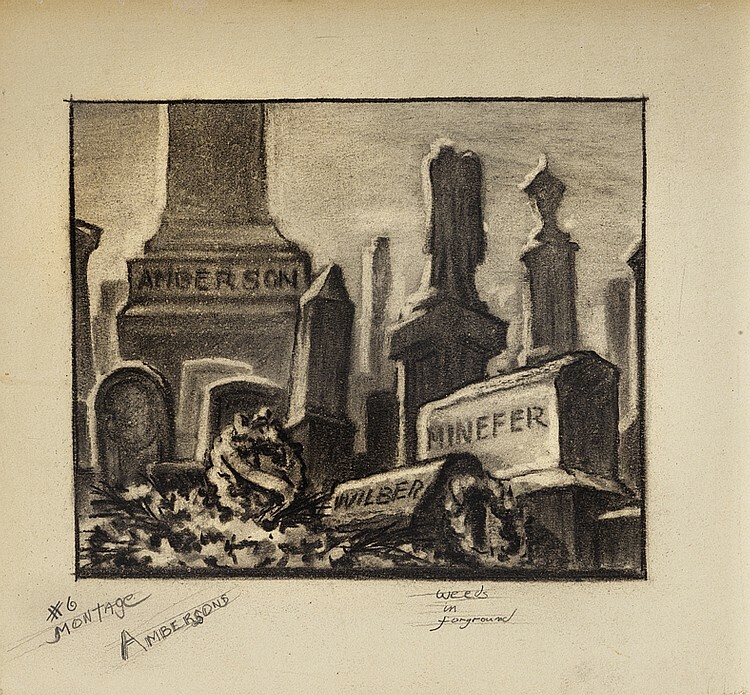 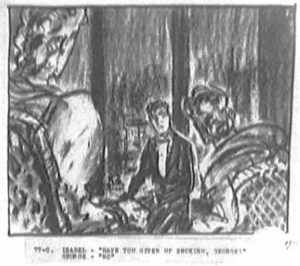 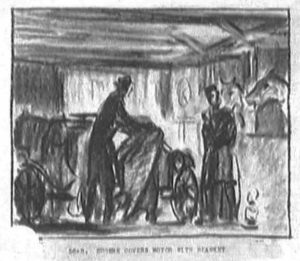 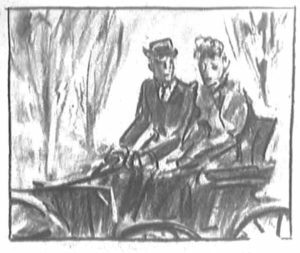 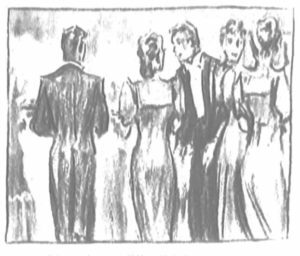 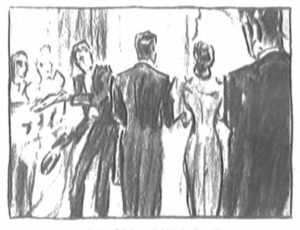 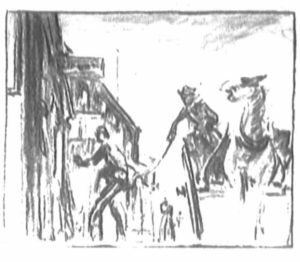 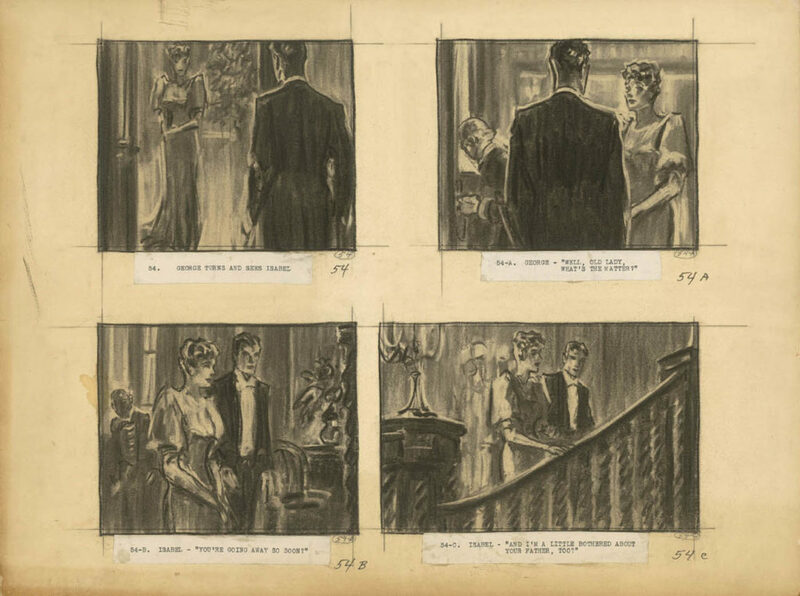 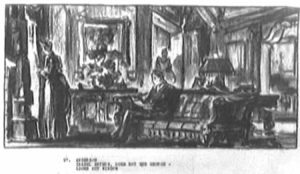 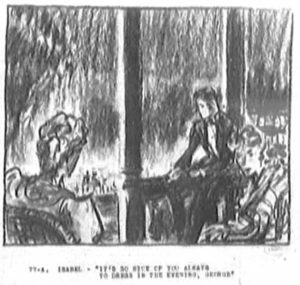 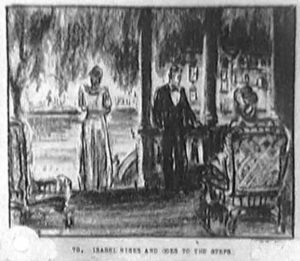 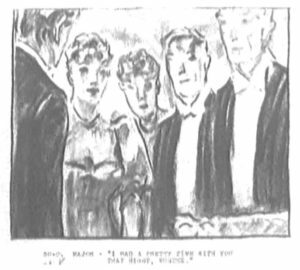 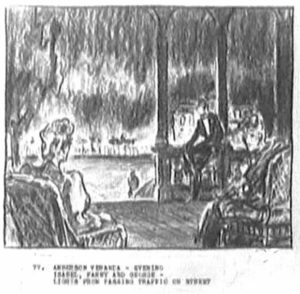 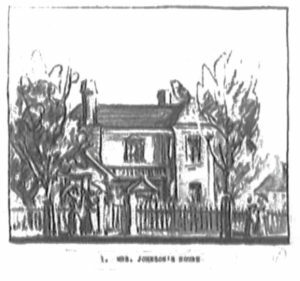 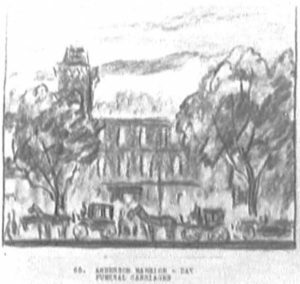 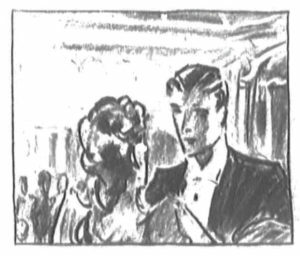 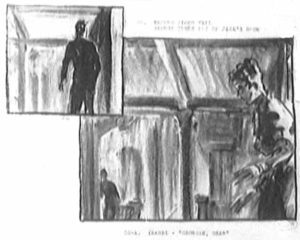 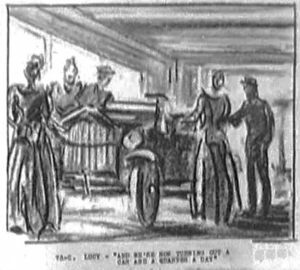 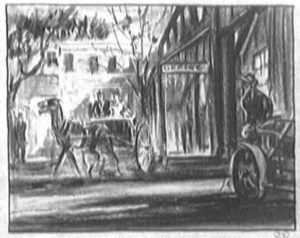 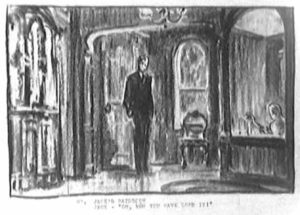 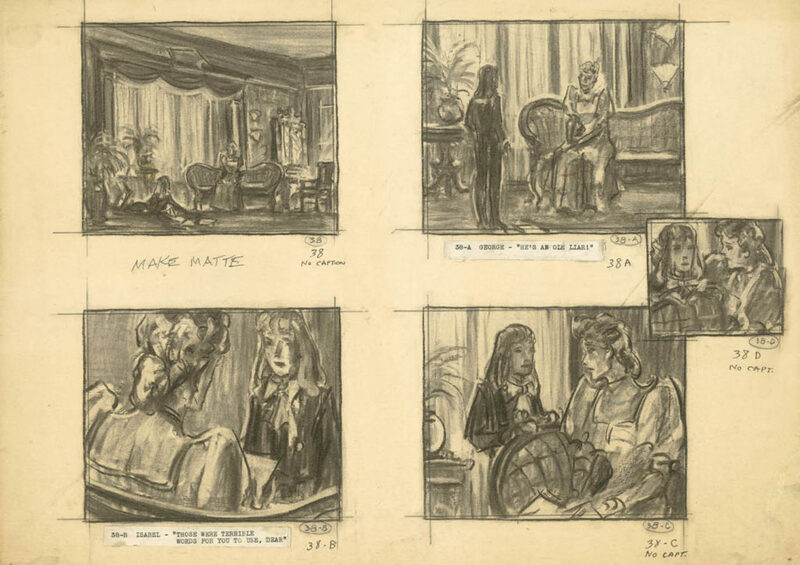 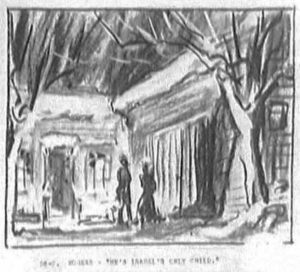 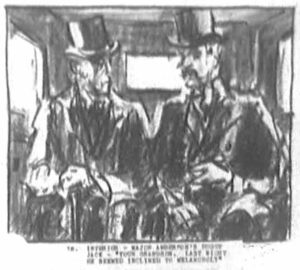 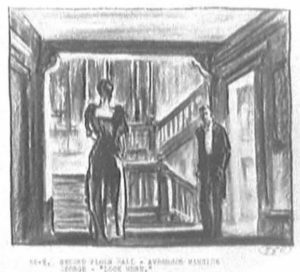 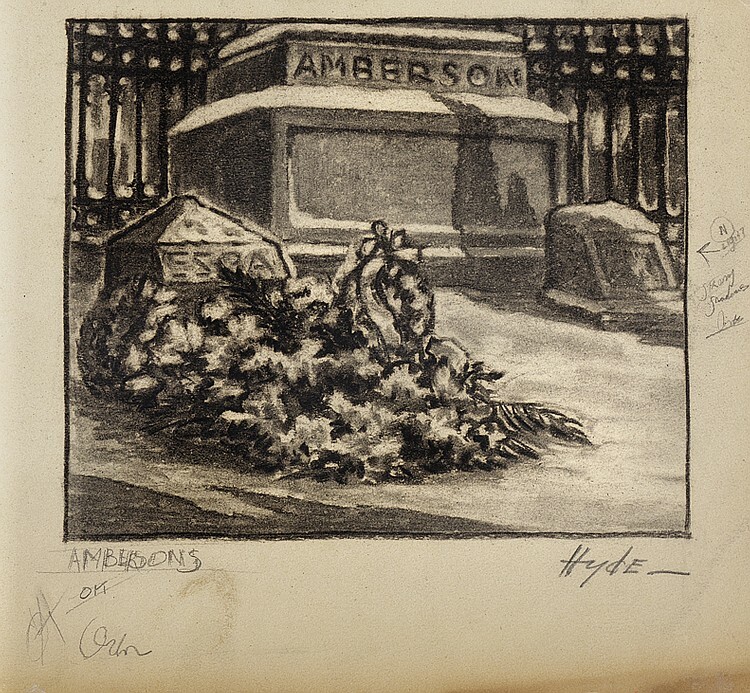 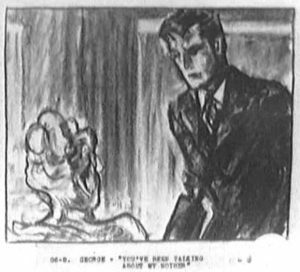 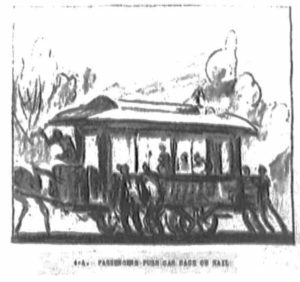 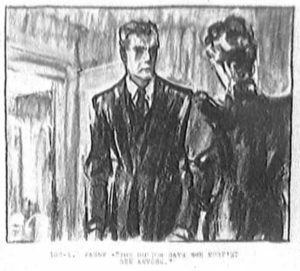 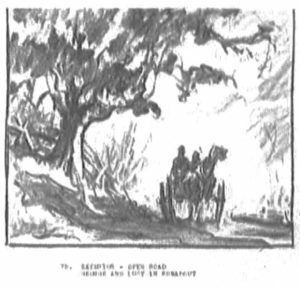 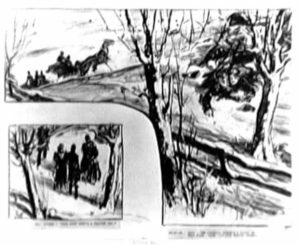 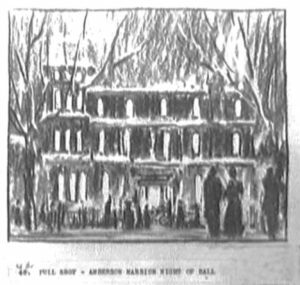 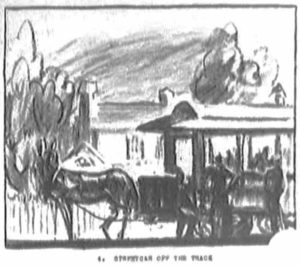 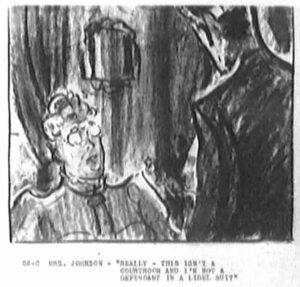 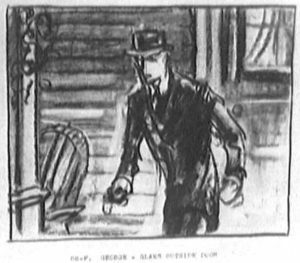 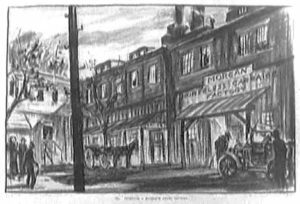 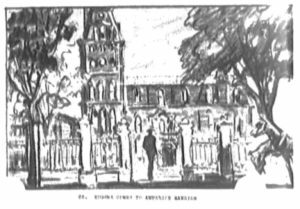 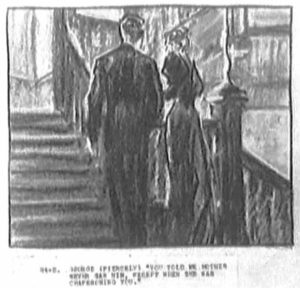 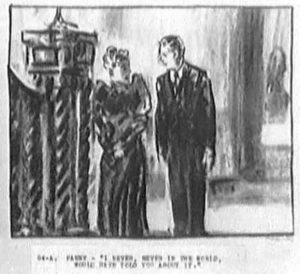 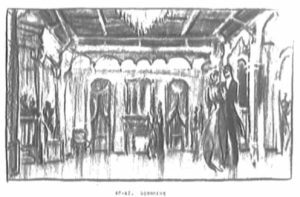 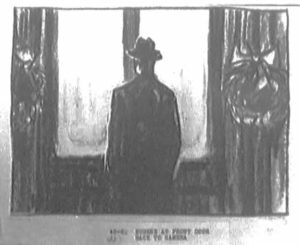 Below are a set of storyboards for THE MAGNIFICENT AMBERSONS prepared by studio artist Joe St. Amon. 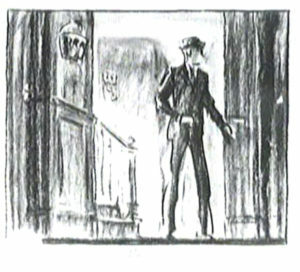 There are other sets for the film prepared by different illustrators at various script stages but this appears to be the final set as it closely matches the October 7th final shooting script; (A sample of the work of another illustrator made for earlier script are at the end. 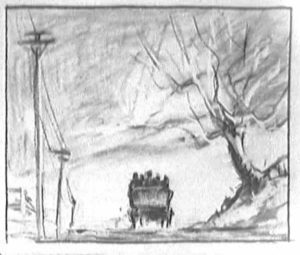 This set below were Xeroxed a number of years ago off the original story boards while the other samples were scanned. 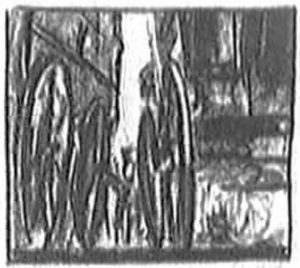 This is the reason for the difference in quality.) 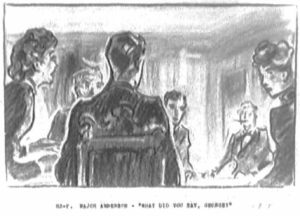 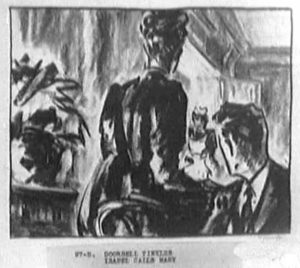 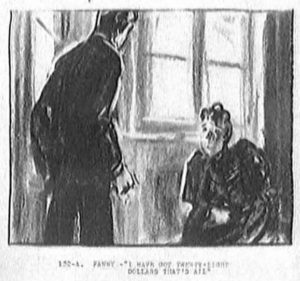 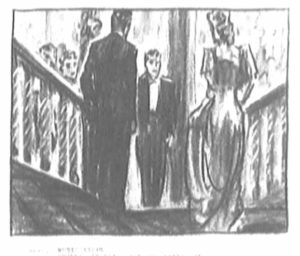 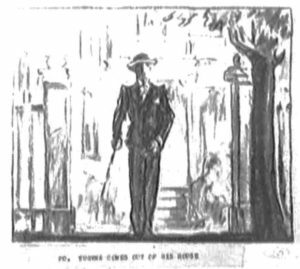 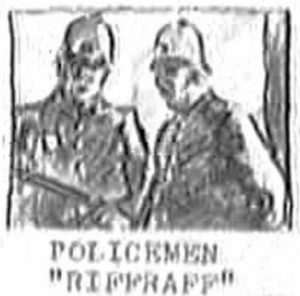 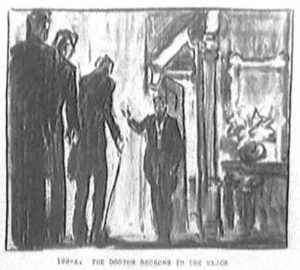 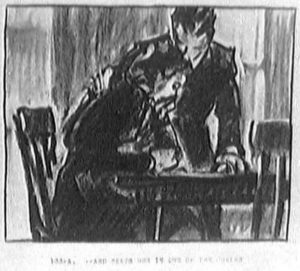 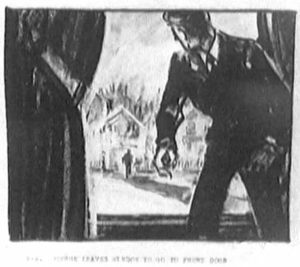 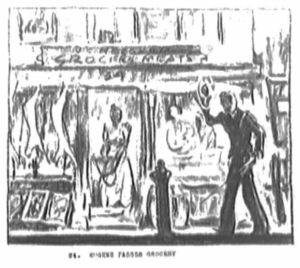 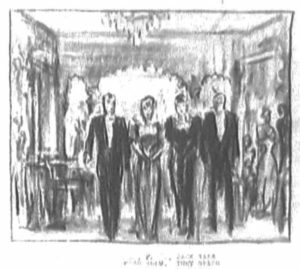 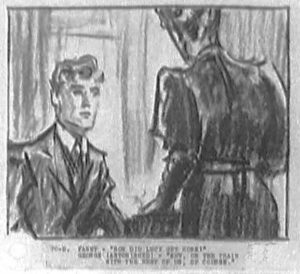 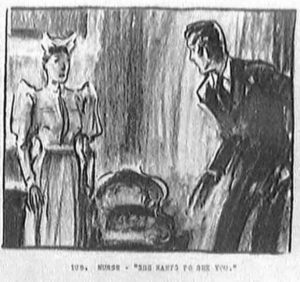 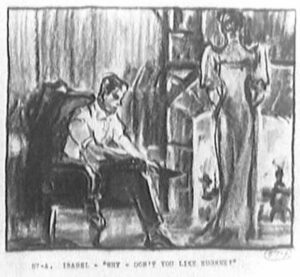 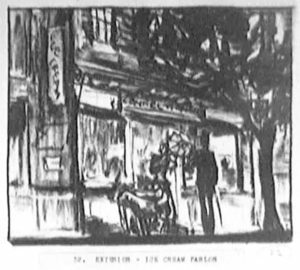 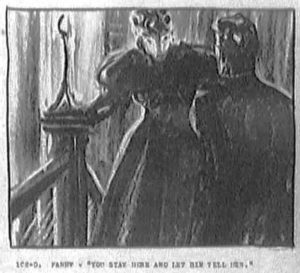 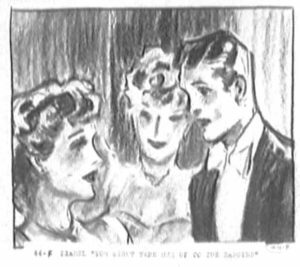 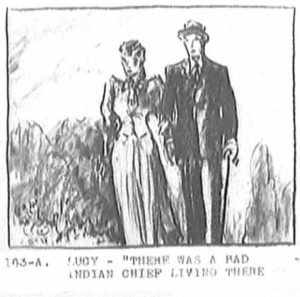 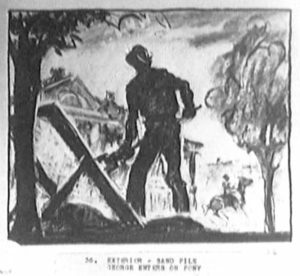 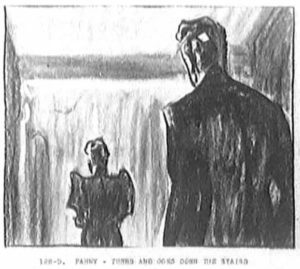 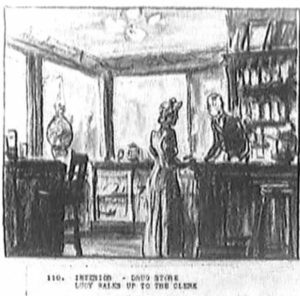 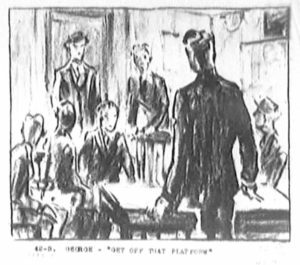 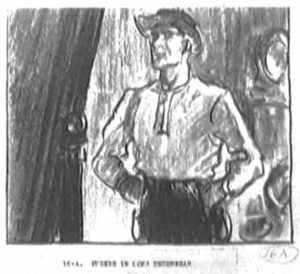 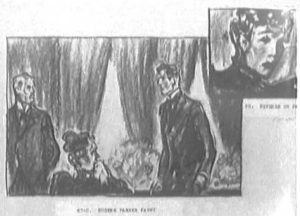 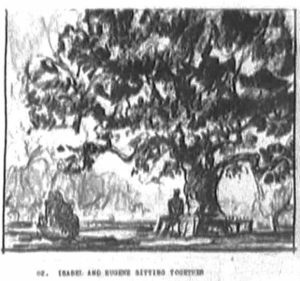 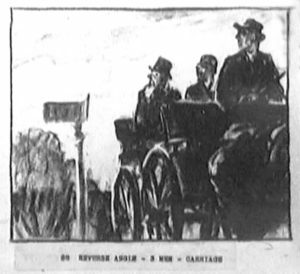 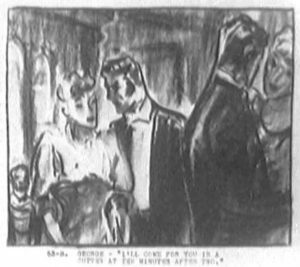 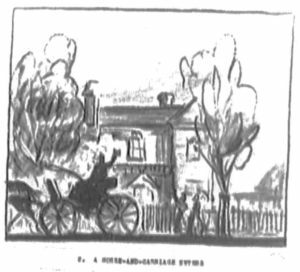 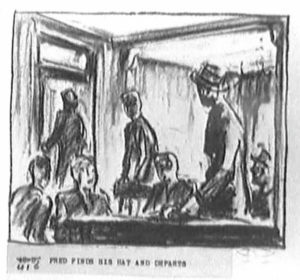 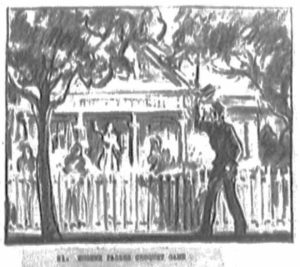 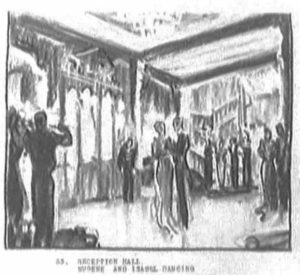 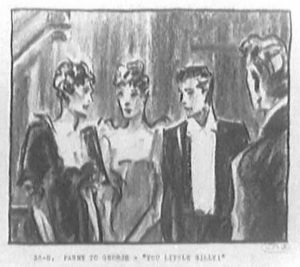 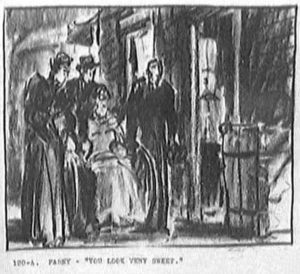 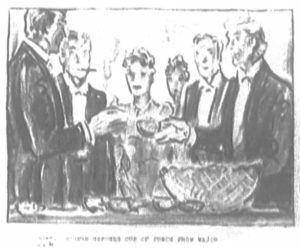 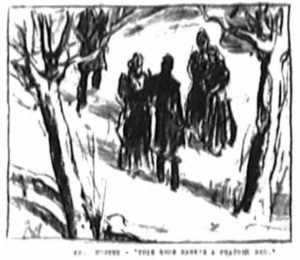 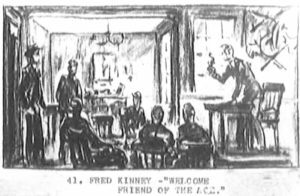 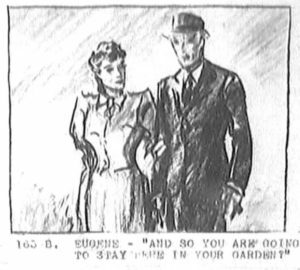 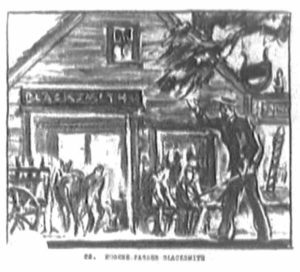 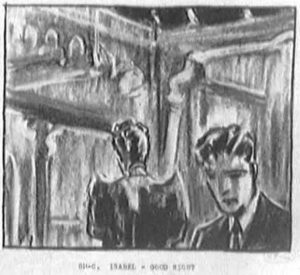 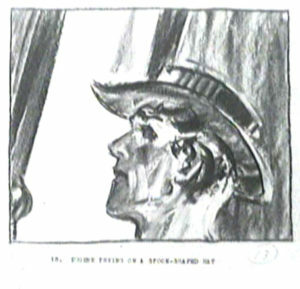 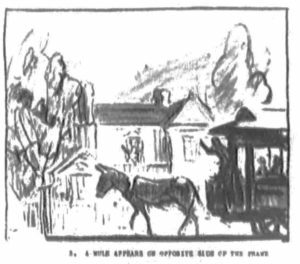 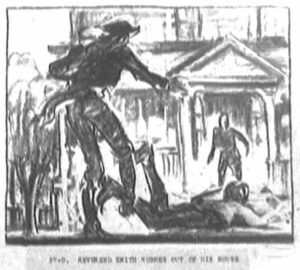 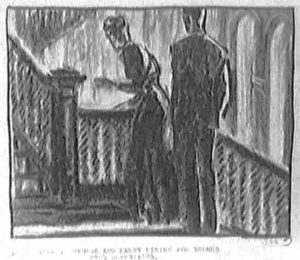 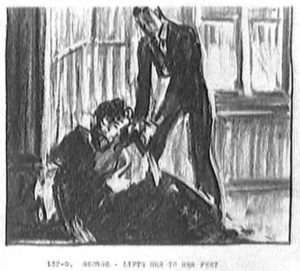 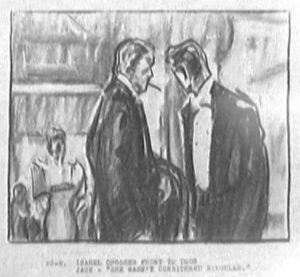 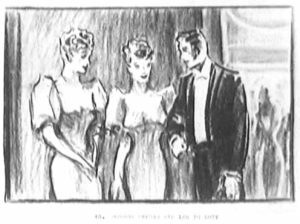 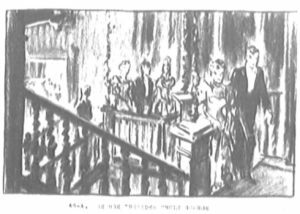 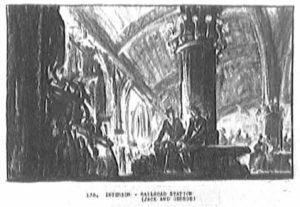 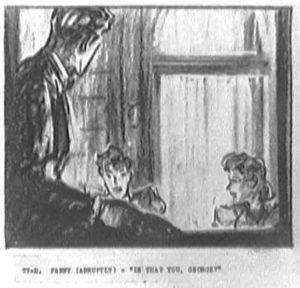 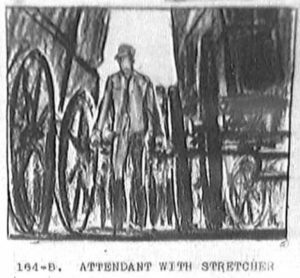 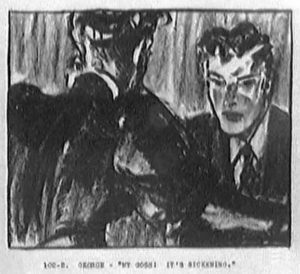 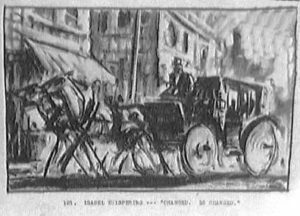 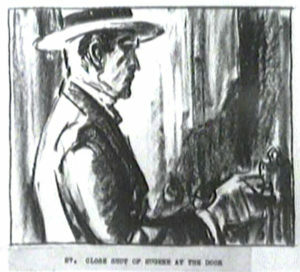 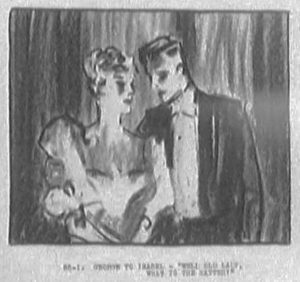 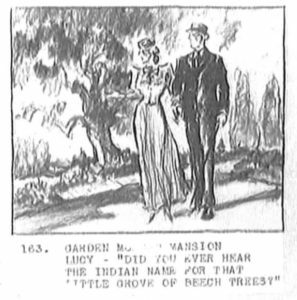 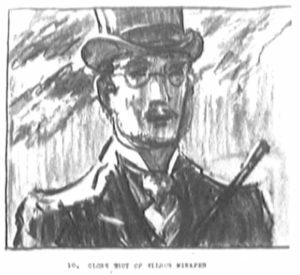 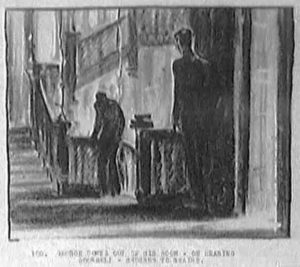 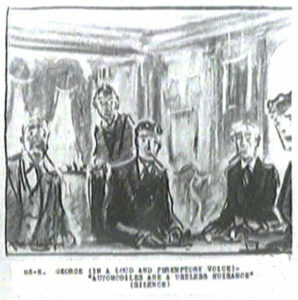 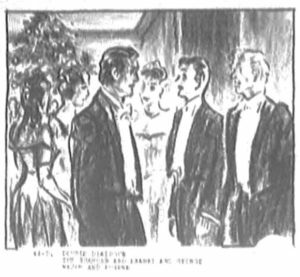 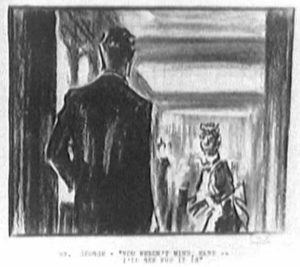 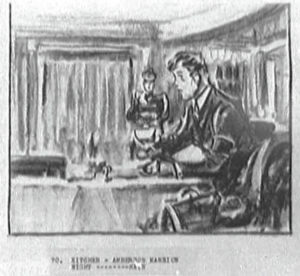 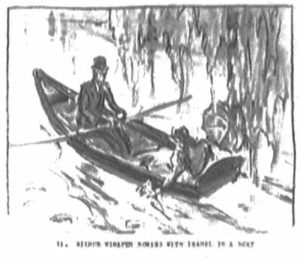 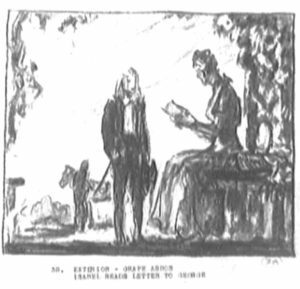 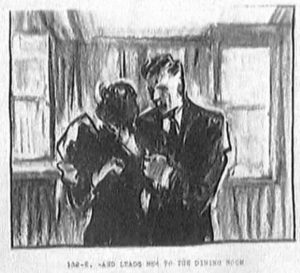 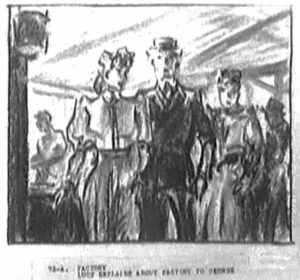 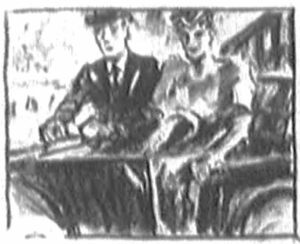 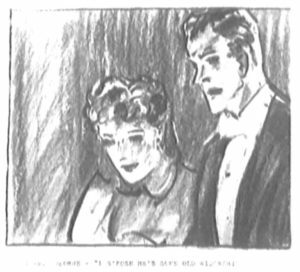 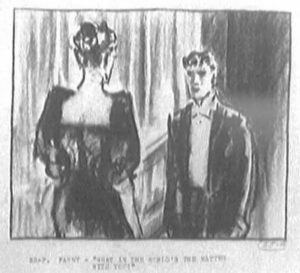 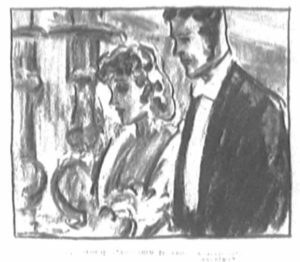 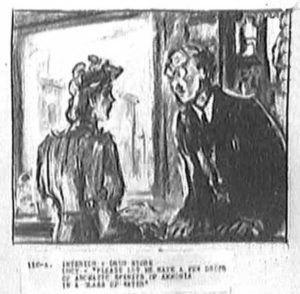 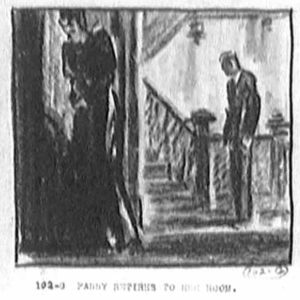 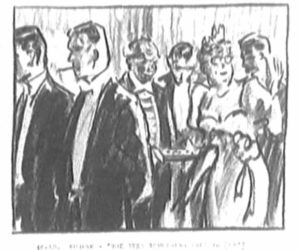 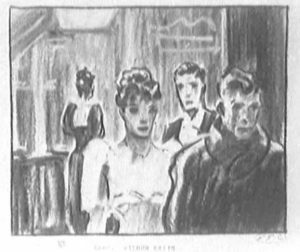 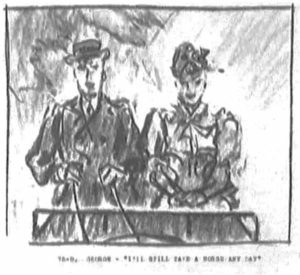 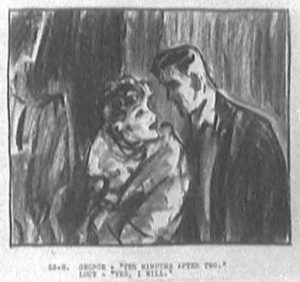 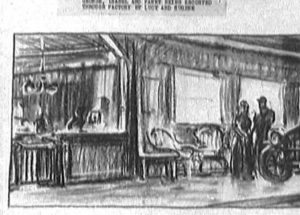 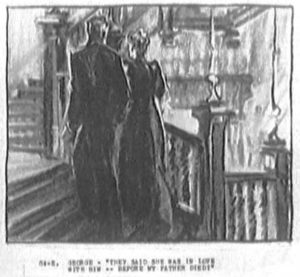 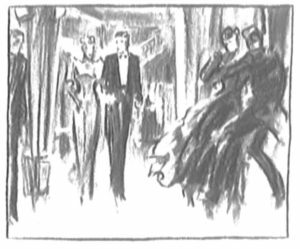 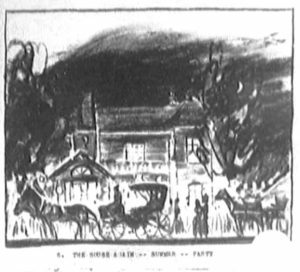 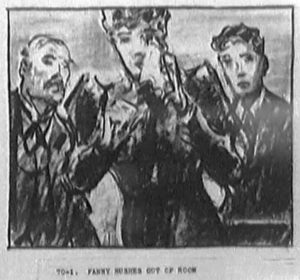 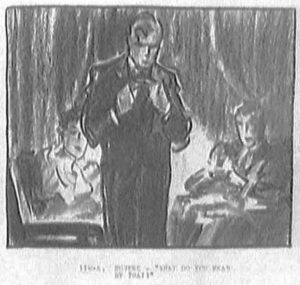 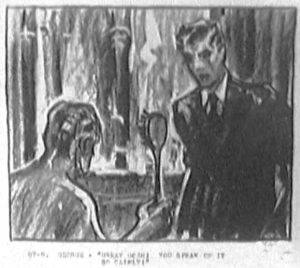 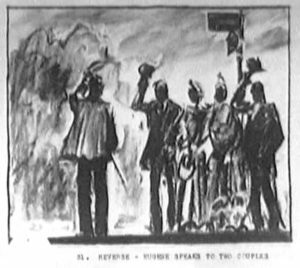 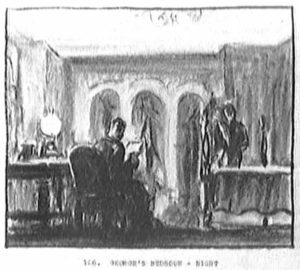 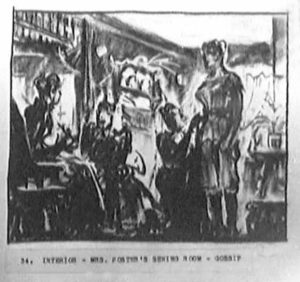 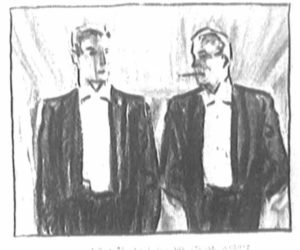 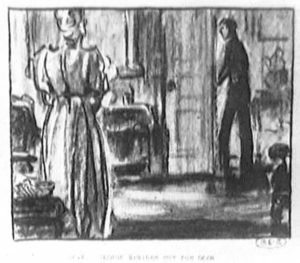 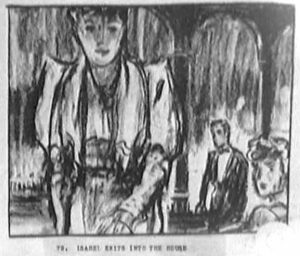 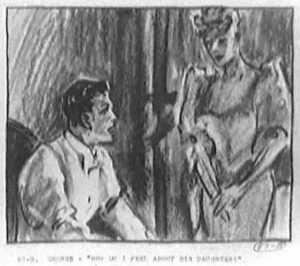 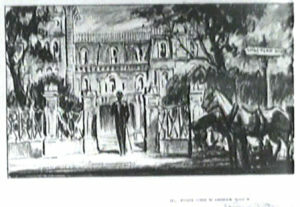 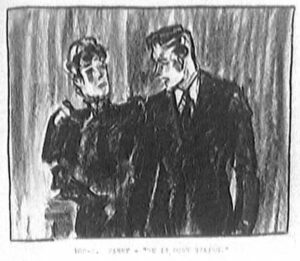 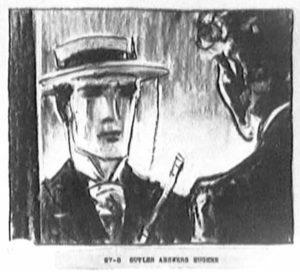 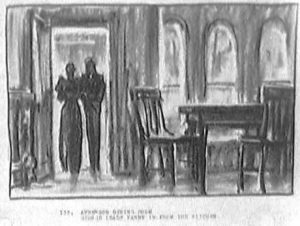 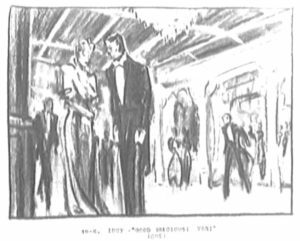 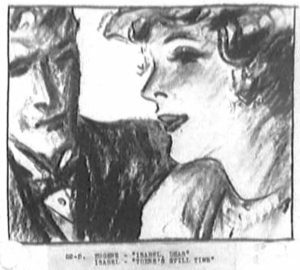 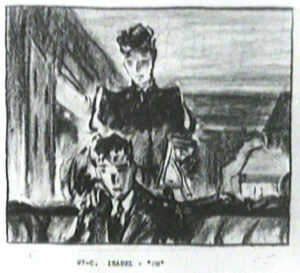 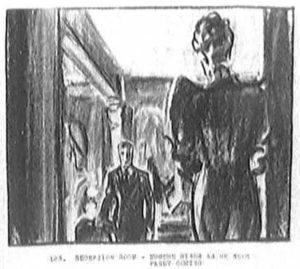 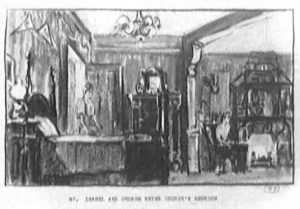 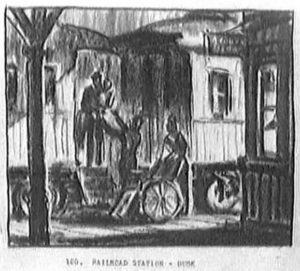 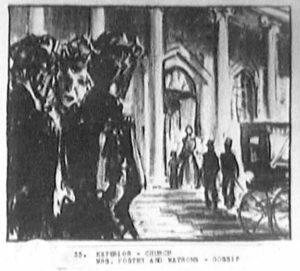 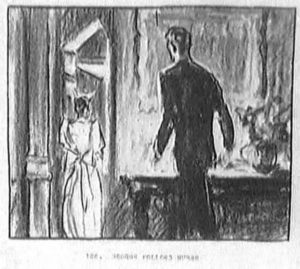 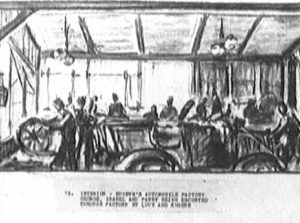 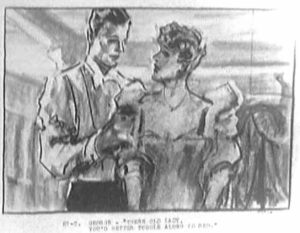 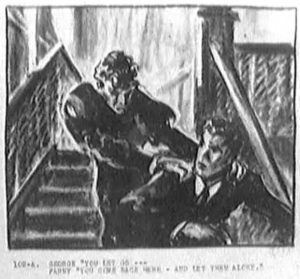 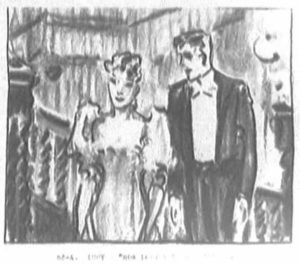 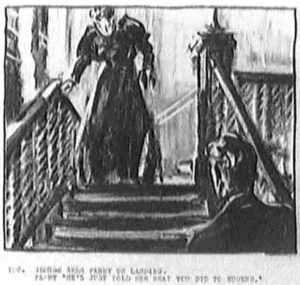 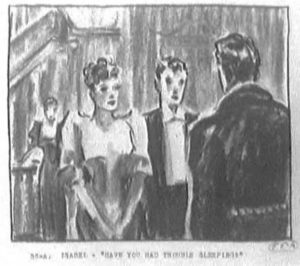 At the time AMBERSONS was made, RKO had story boards prepared by studio illustrators. 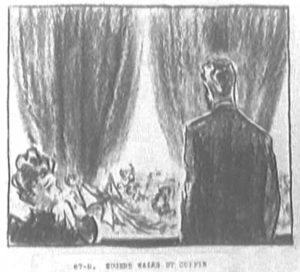 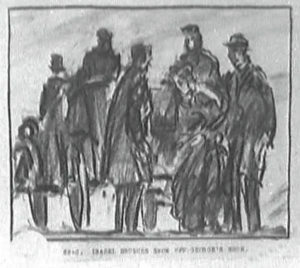 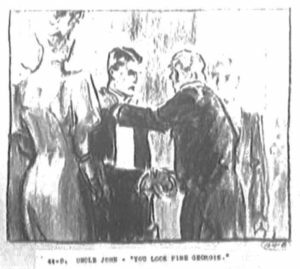 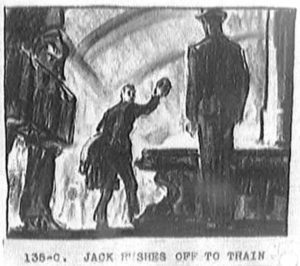 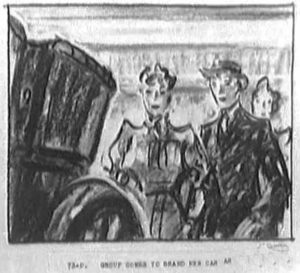 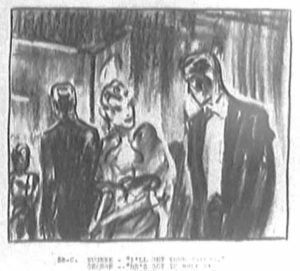 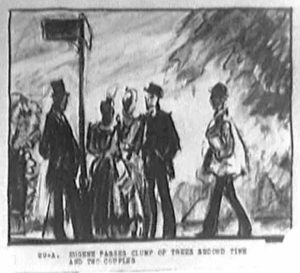 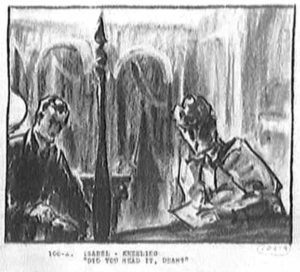 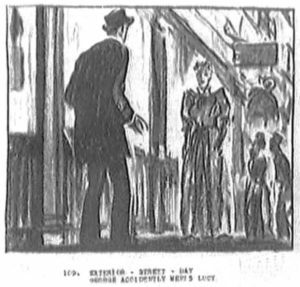 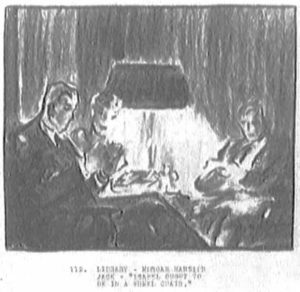 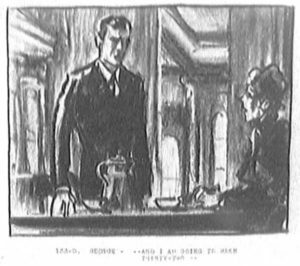 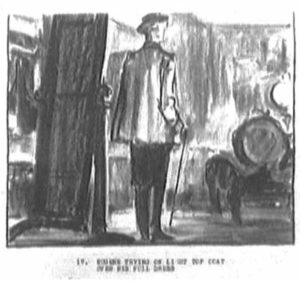 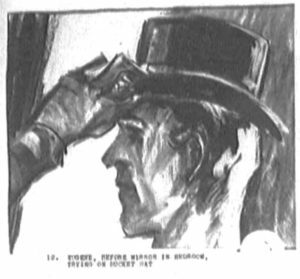 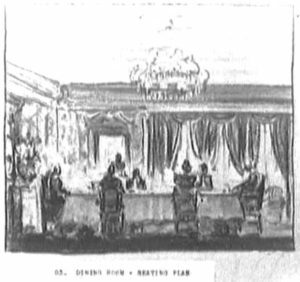 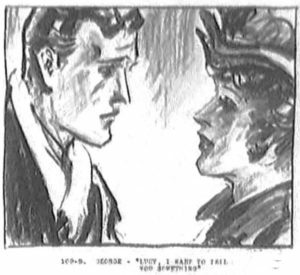 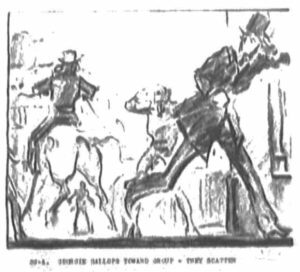 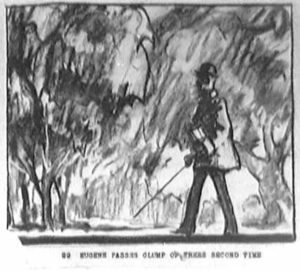 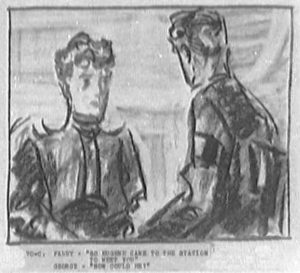 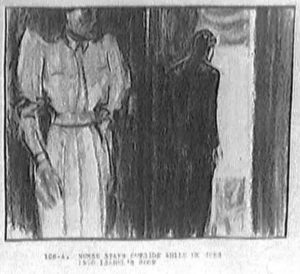 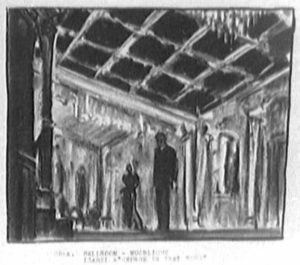 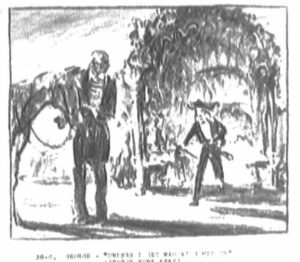 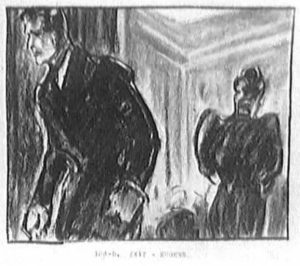 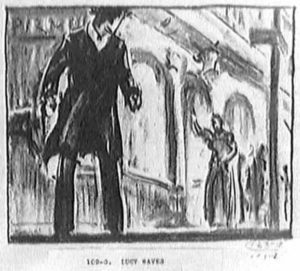 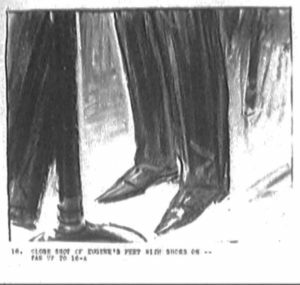 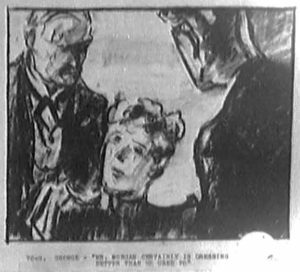 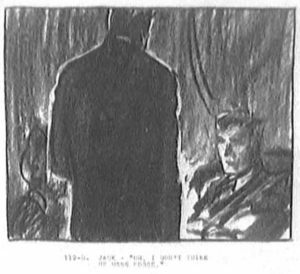 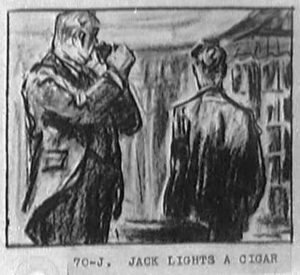 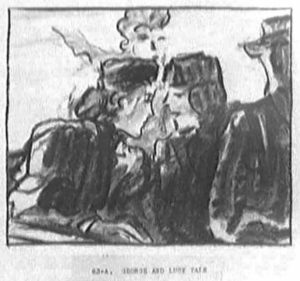 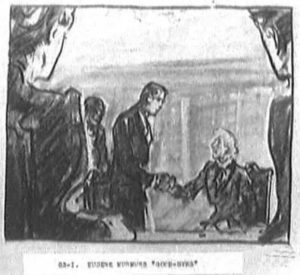 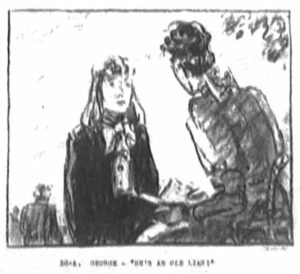 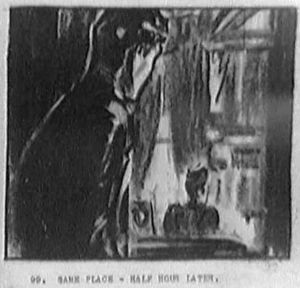 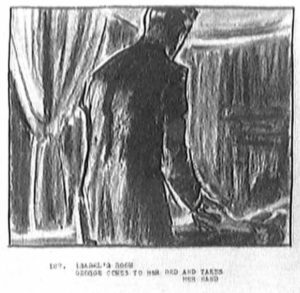 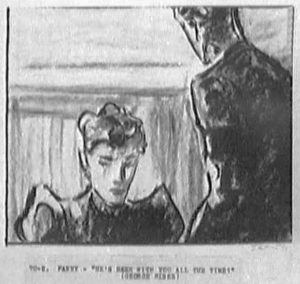 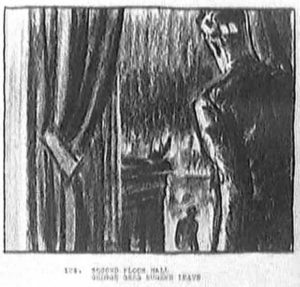 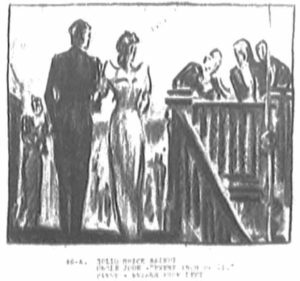 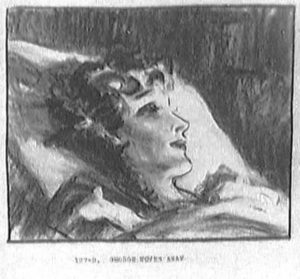 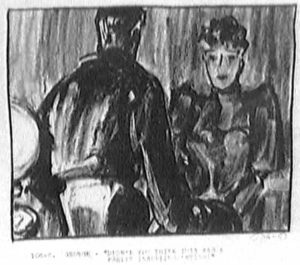 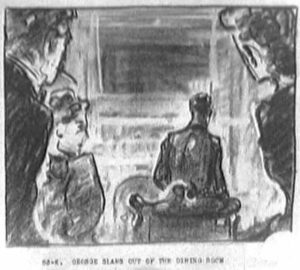 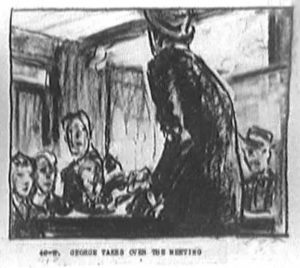 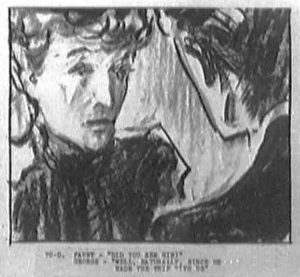 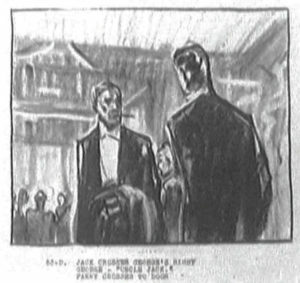 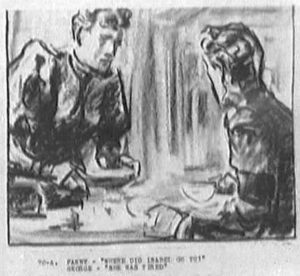 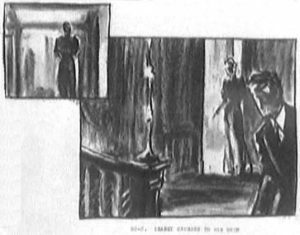 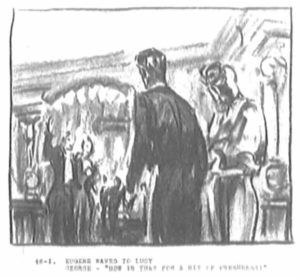 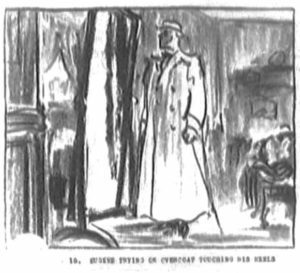 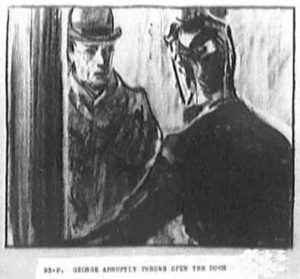 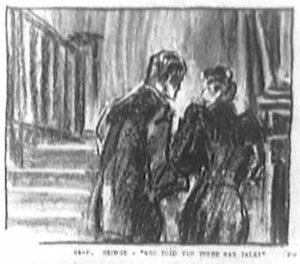 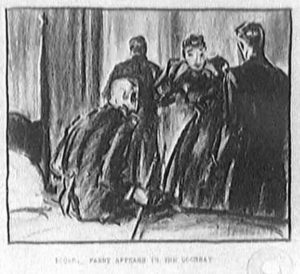 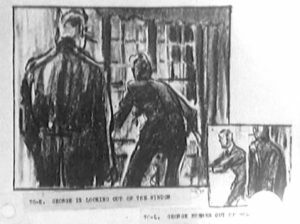 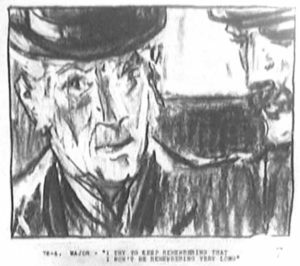 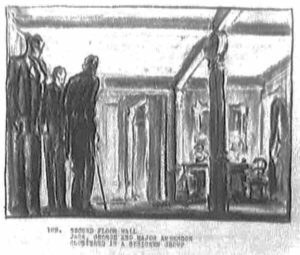 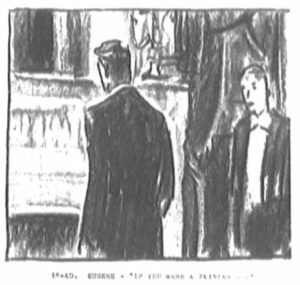 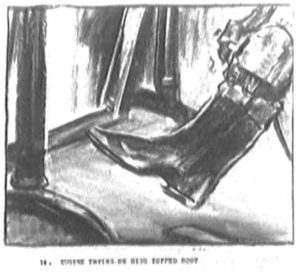 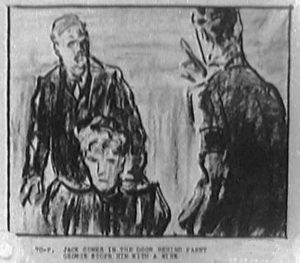 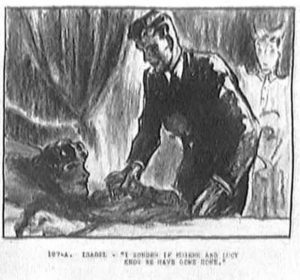 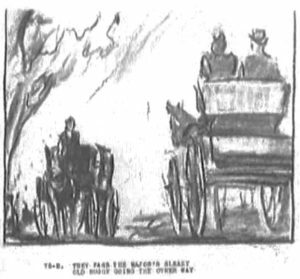 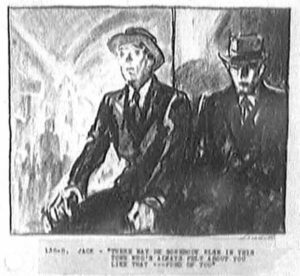 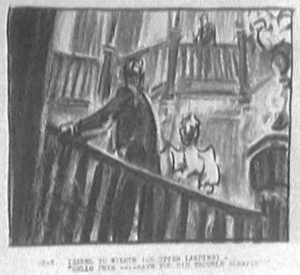 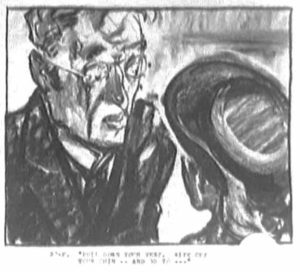 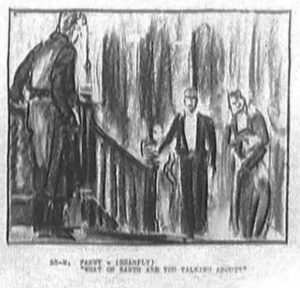 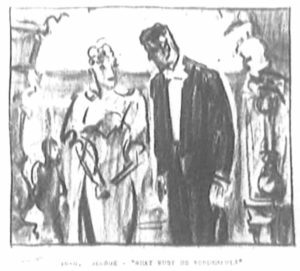 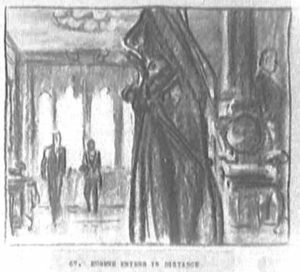 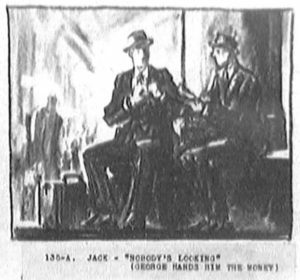 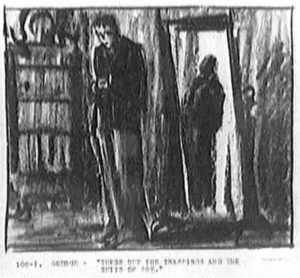 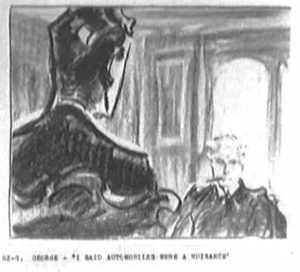 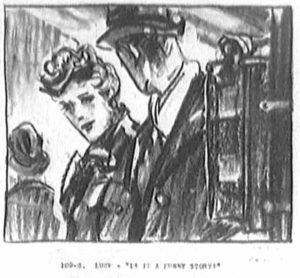 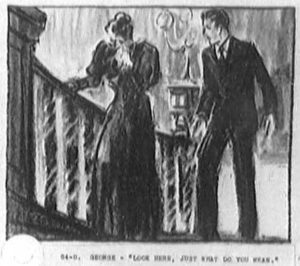 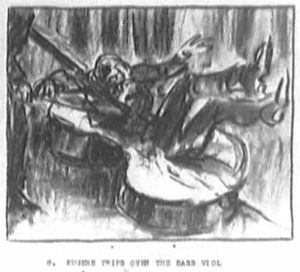 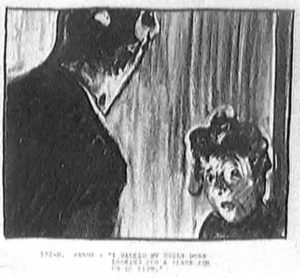 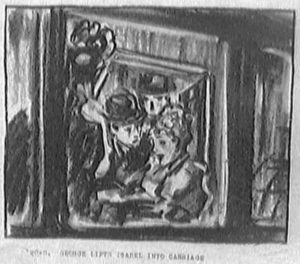 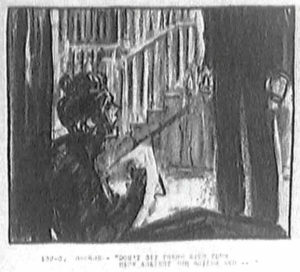 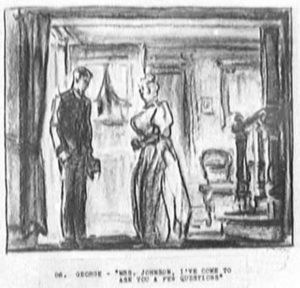 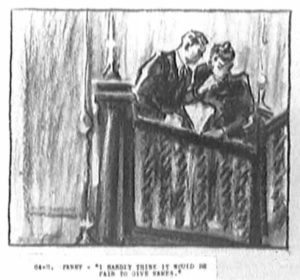 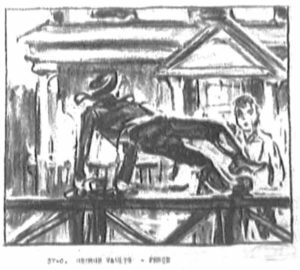 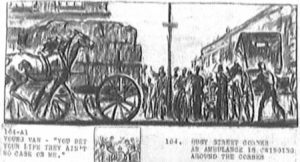 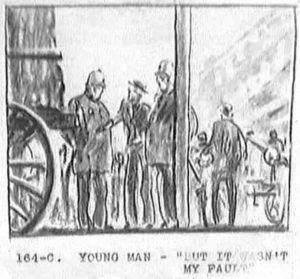 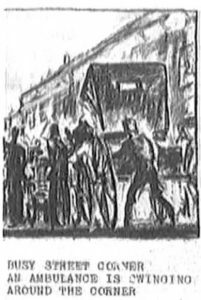 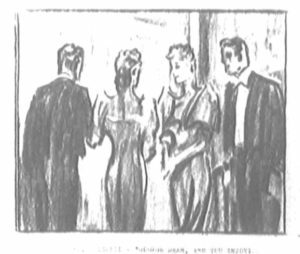 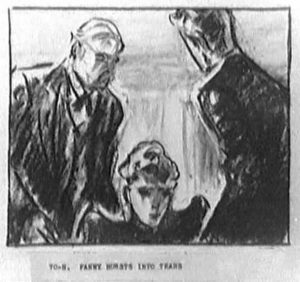 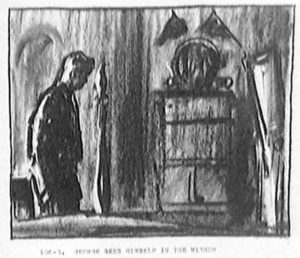 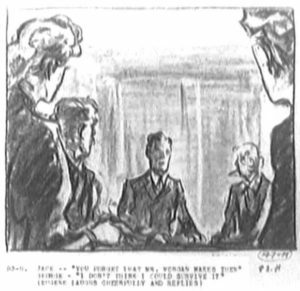 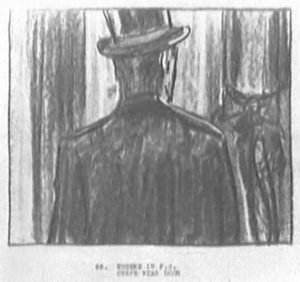 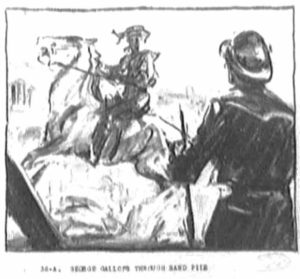 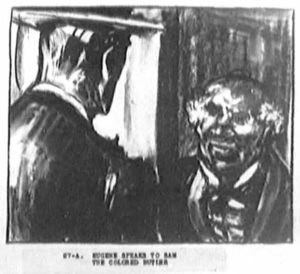 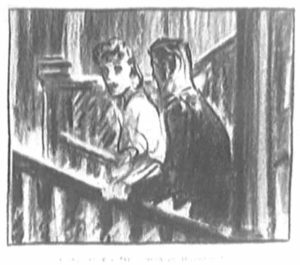 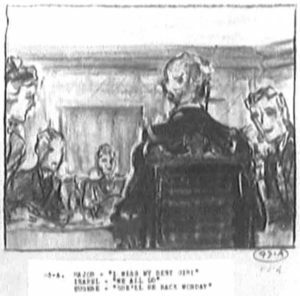 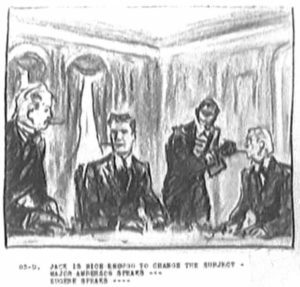 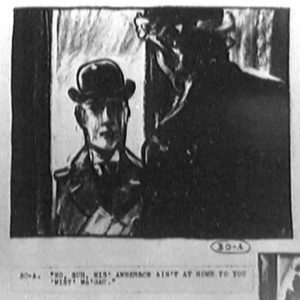 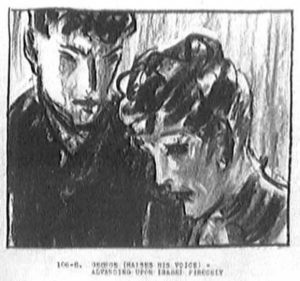 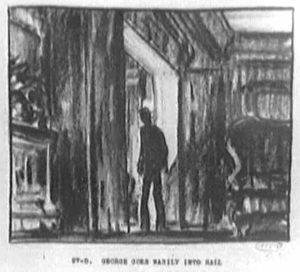 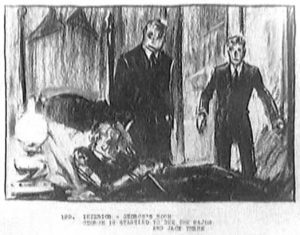 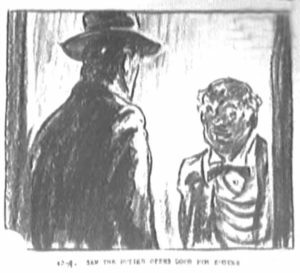 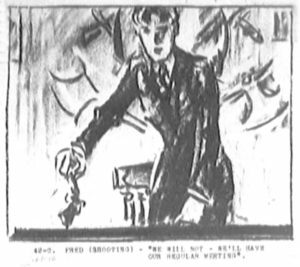 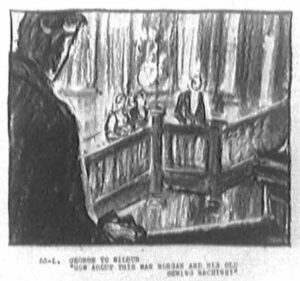 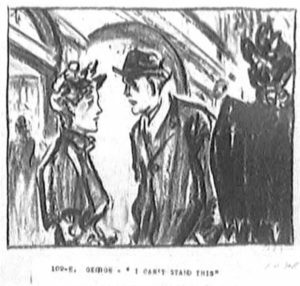 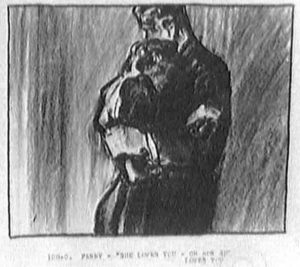 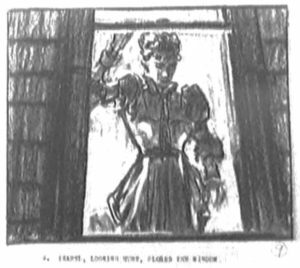 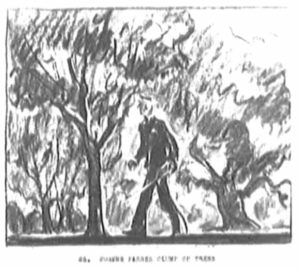 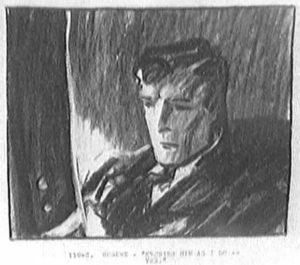 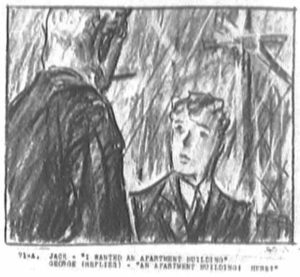 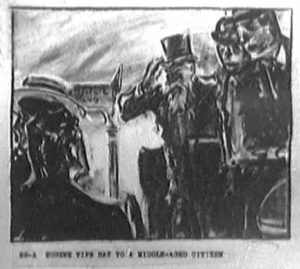 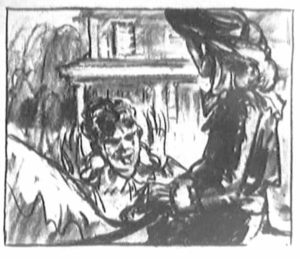 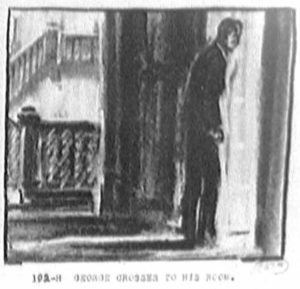 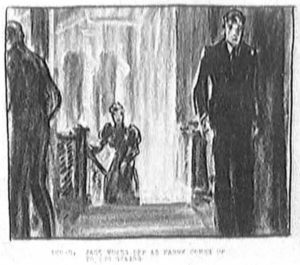 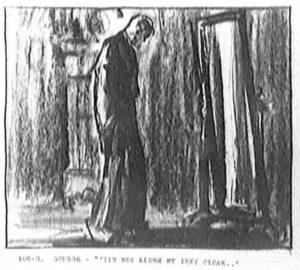 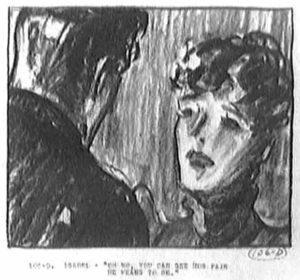 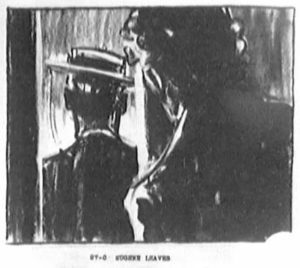 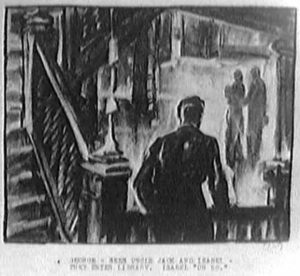 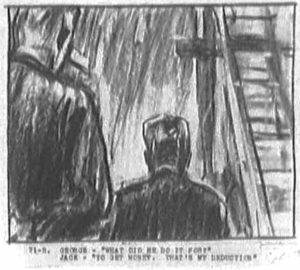 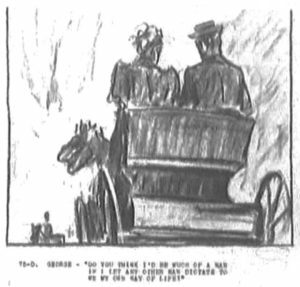 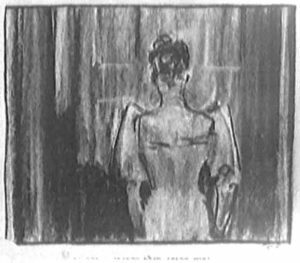 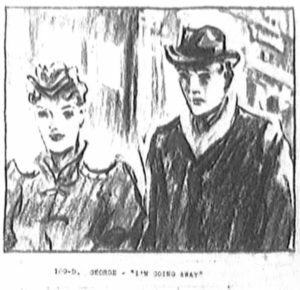 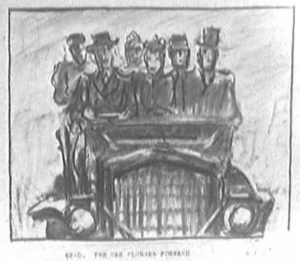 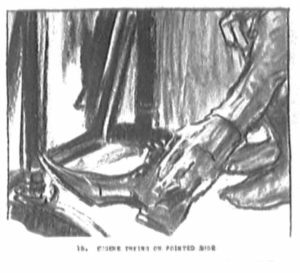 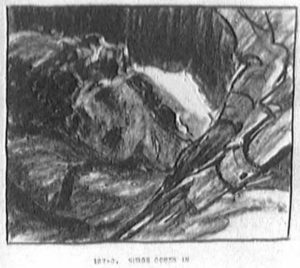 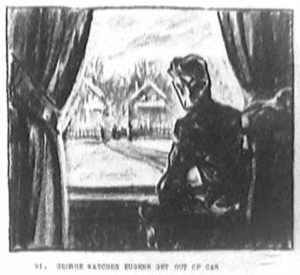 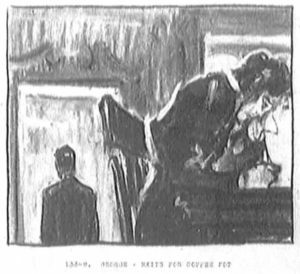 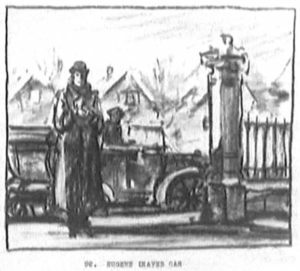 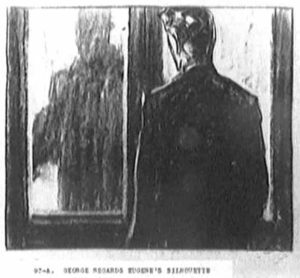 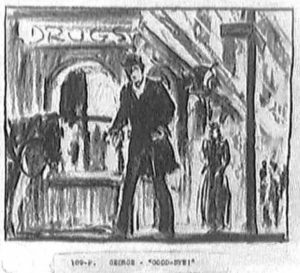 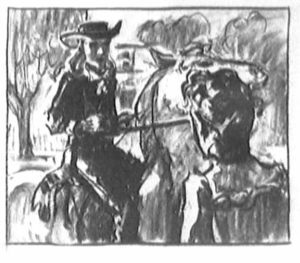 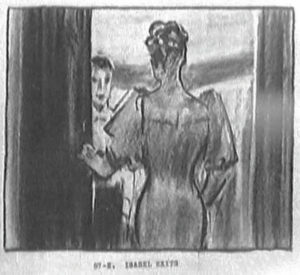 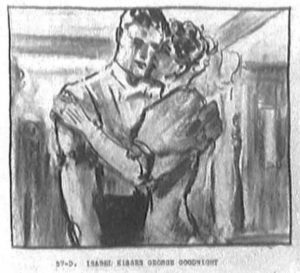 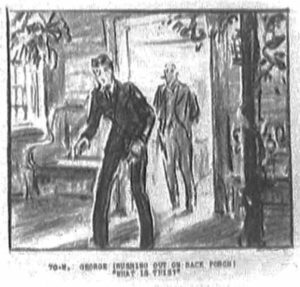 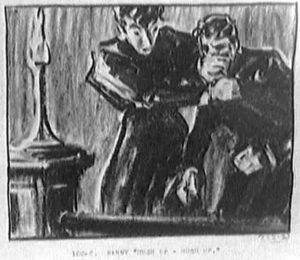 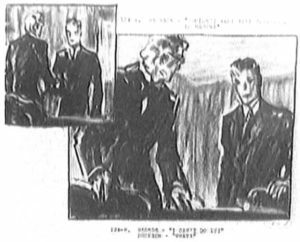 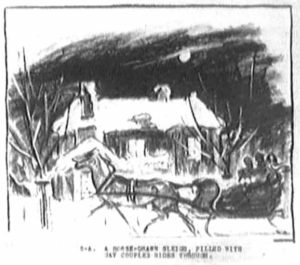 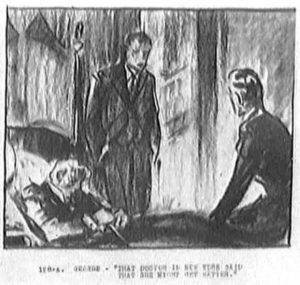 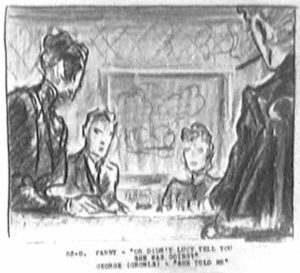 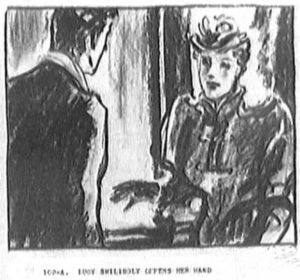 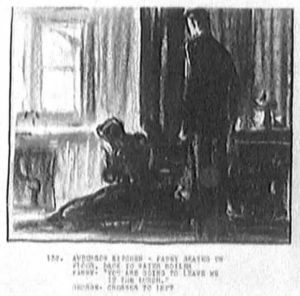 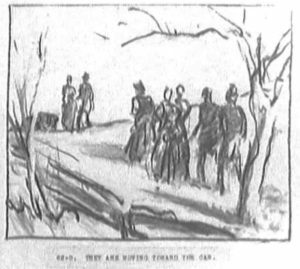 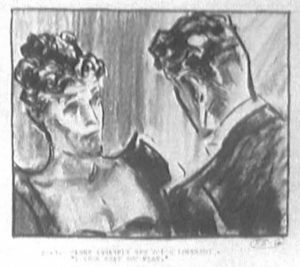 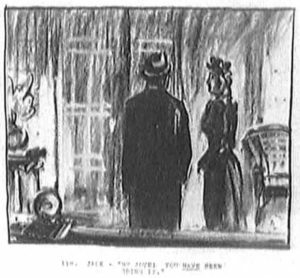 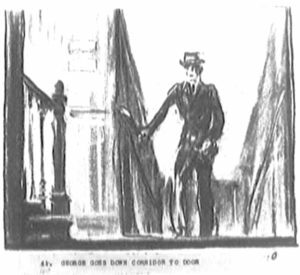 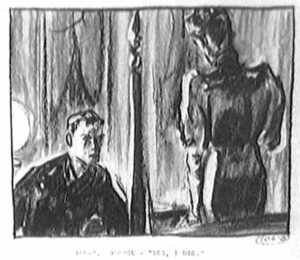 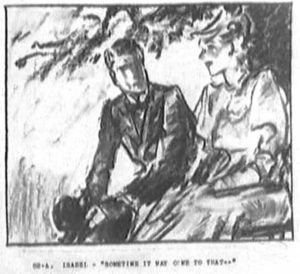 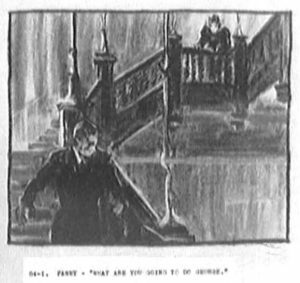 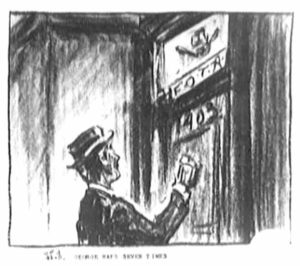 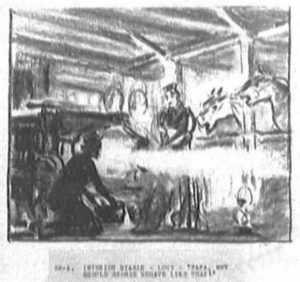 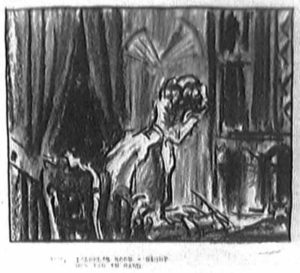 In this case, the storyboards do not cover the entire script but, instead, end at George’s accident – an informed guess is that the reason for this is that Welles had changed the ending before storyboards could be prepared. 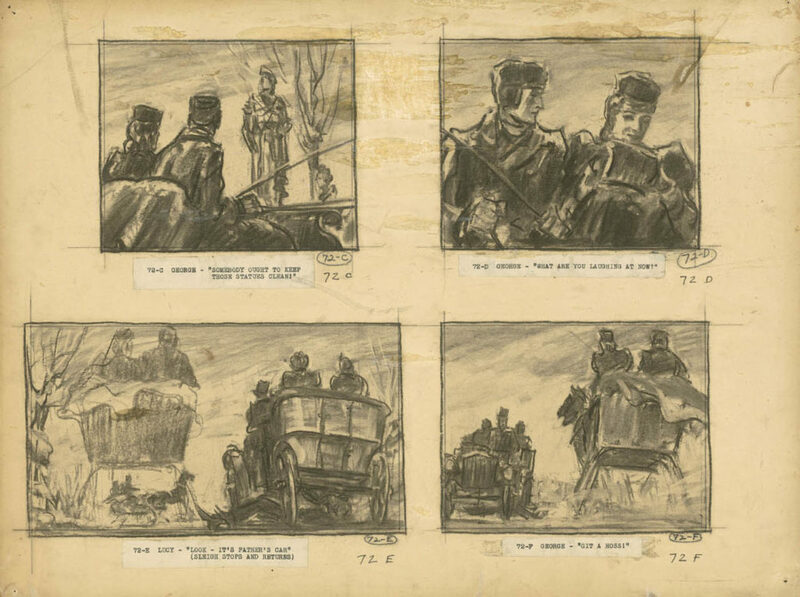 Storyboards were created to assist the director and cinematographer line up and prepare shots. 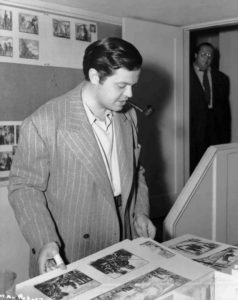 It is worth noting that Welles was not involved in the process. 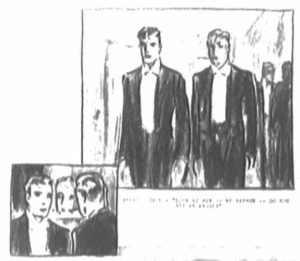 He did initial his OK but after that he pretty much ignored them when making the film. 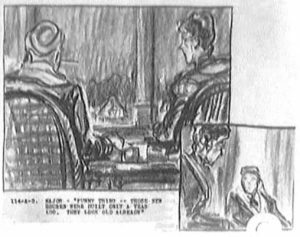 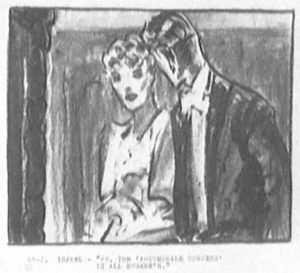 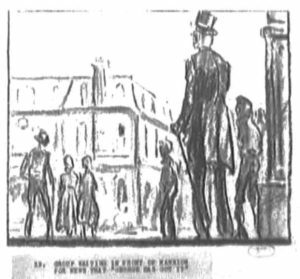 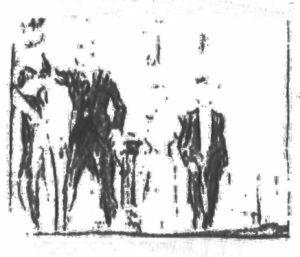 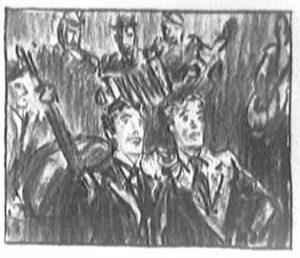 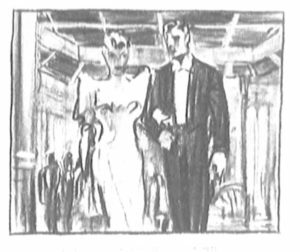 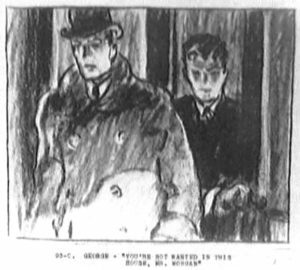 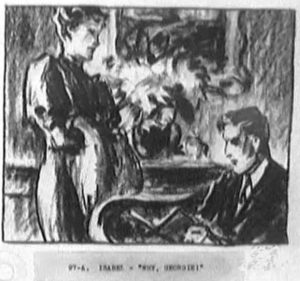 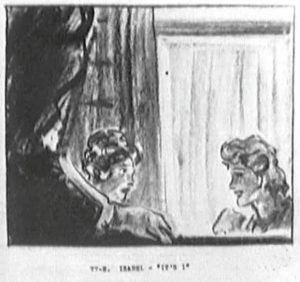 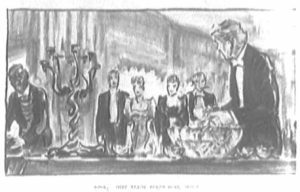 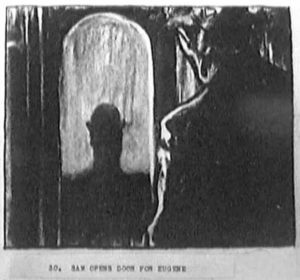 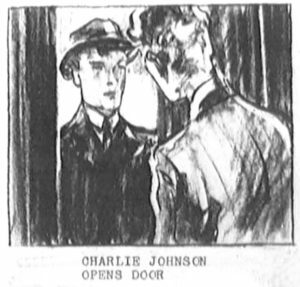 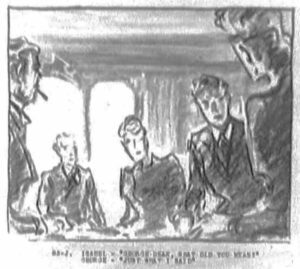 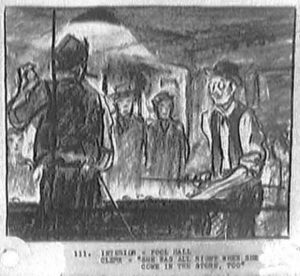 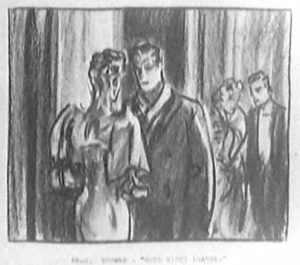 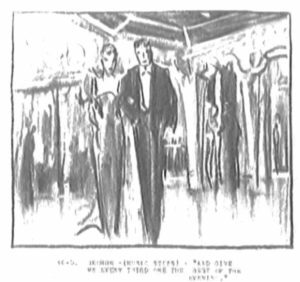 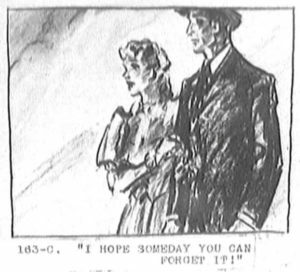 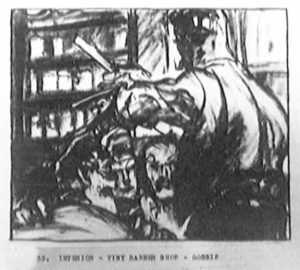 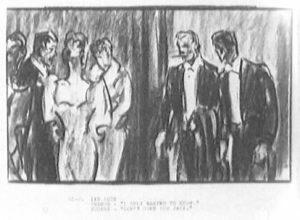 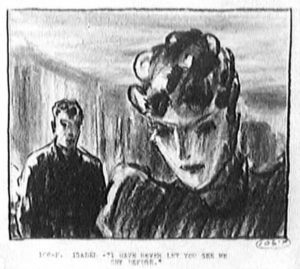 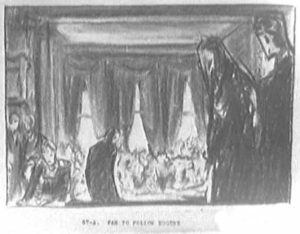 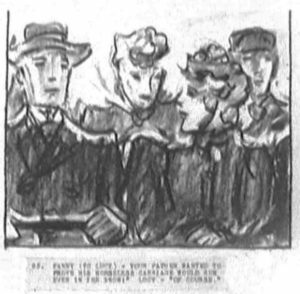 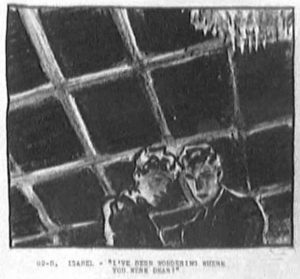 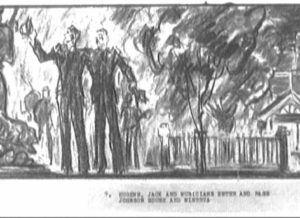 In other words, these storyboards do not represent Orson Welles visualization of his film but are one illustrator’s interpretation of Welles’ script and should be seen as nothing more.